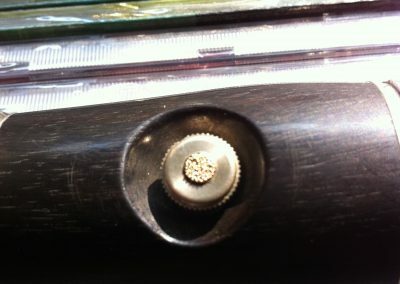 Some of the many thousands of JoyKeys that have already been fitted to instruments. 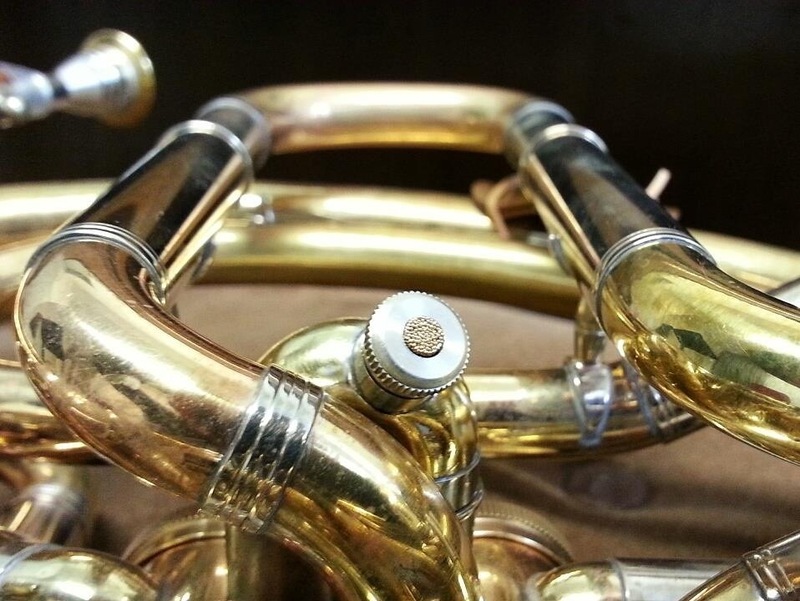 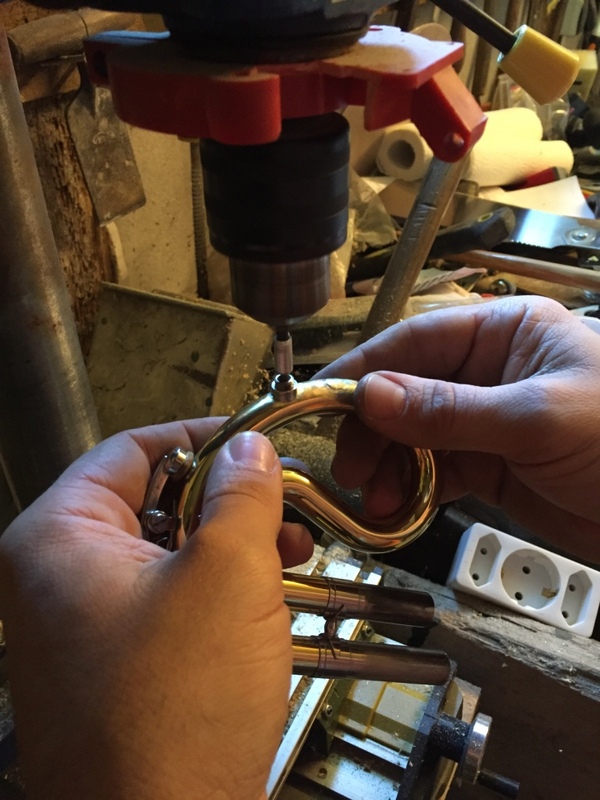 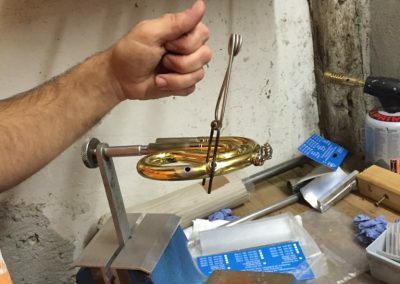 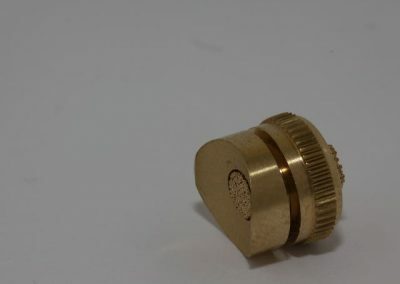 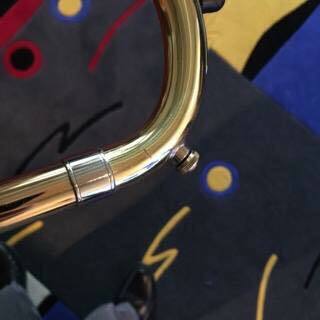 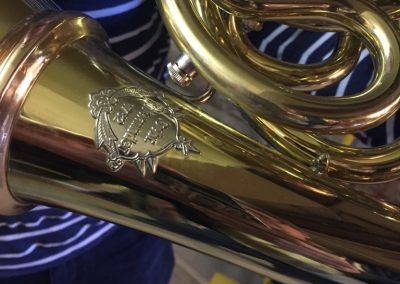 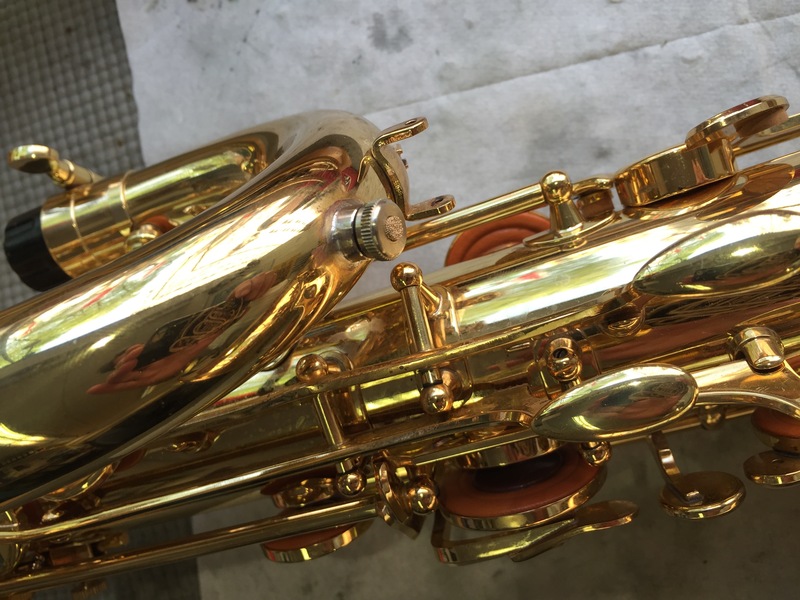 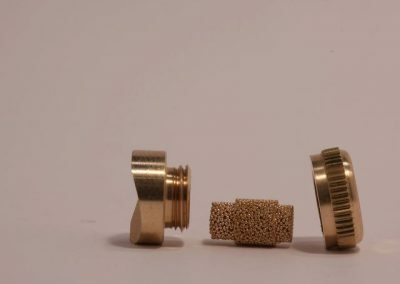 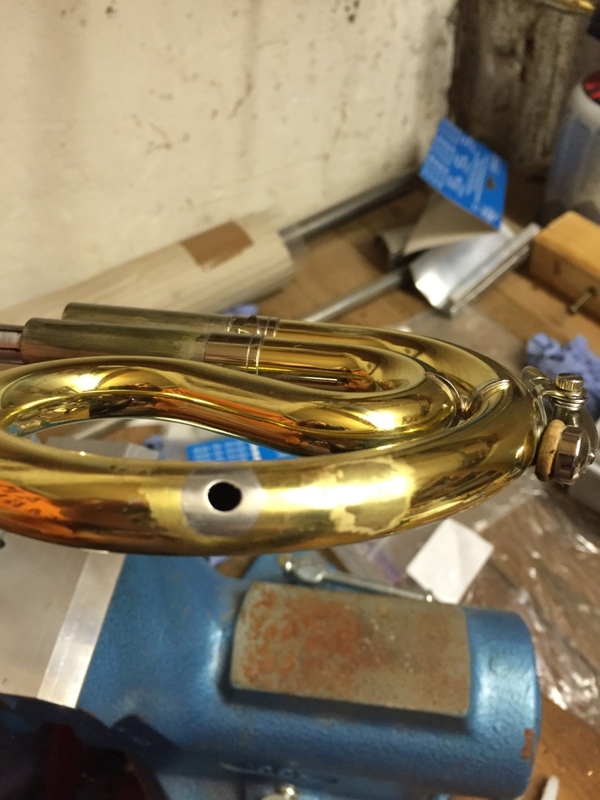 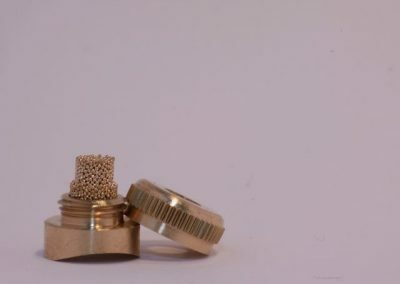 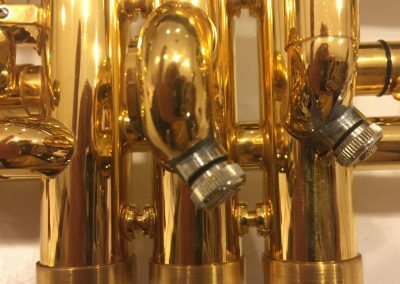 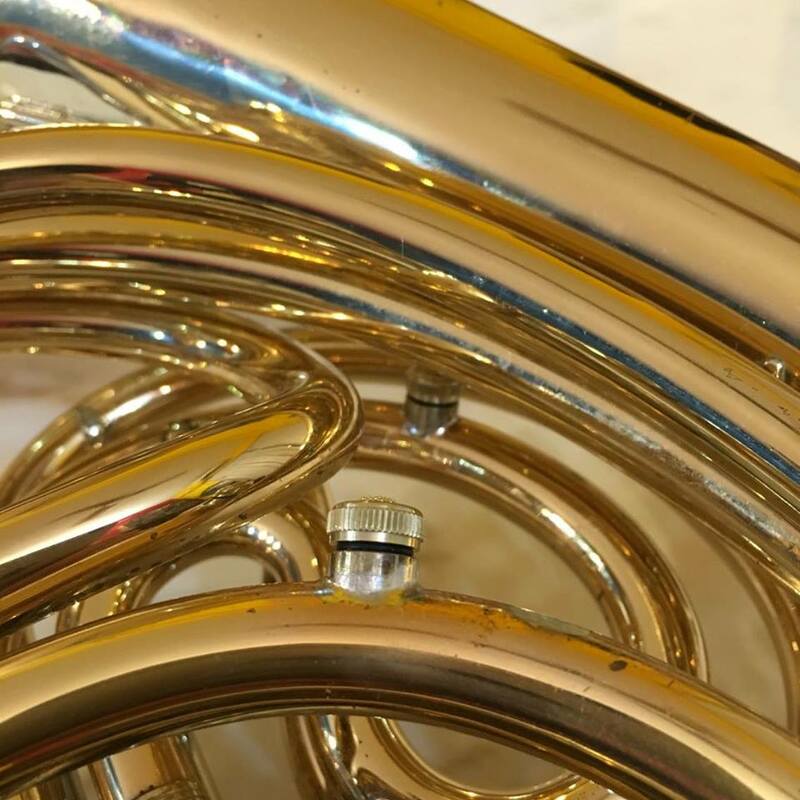 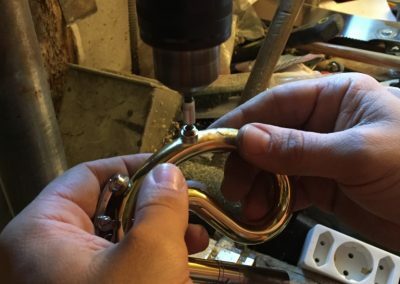 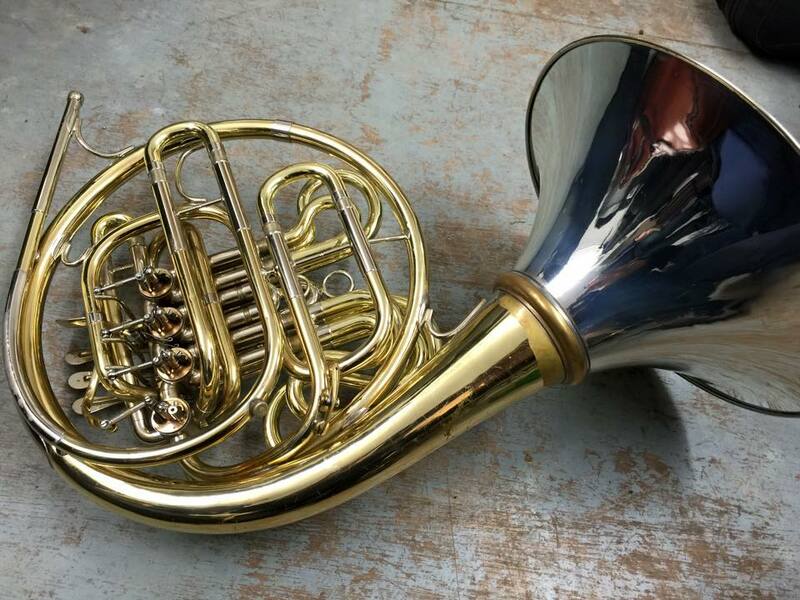 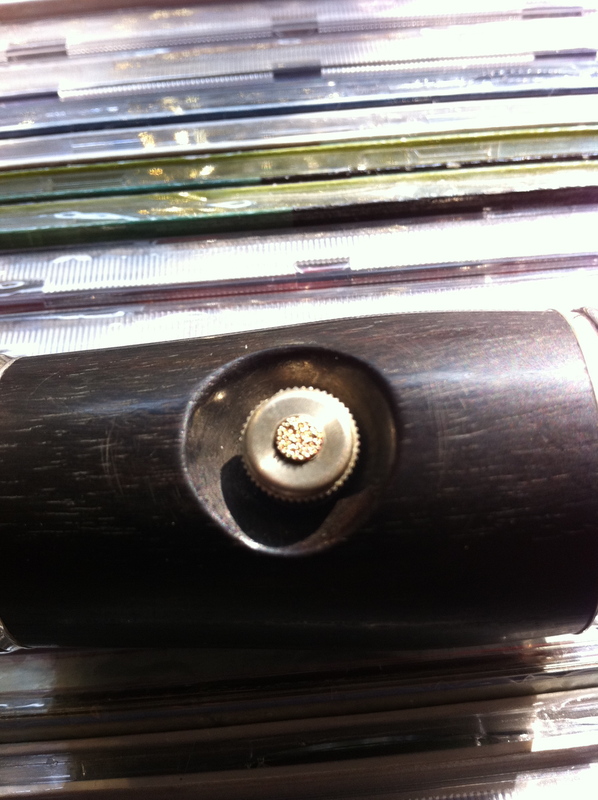 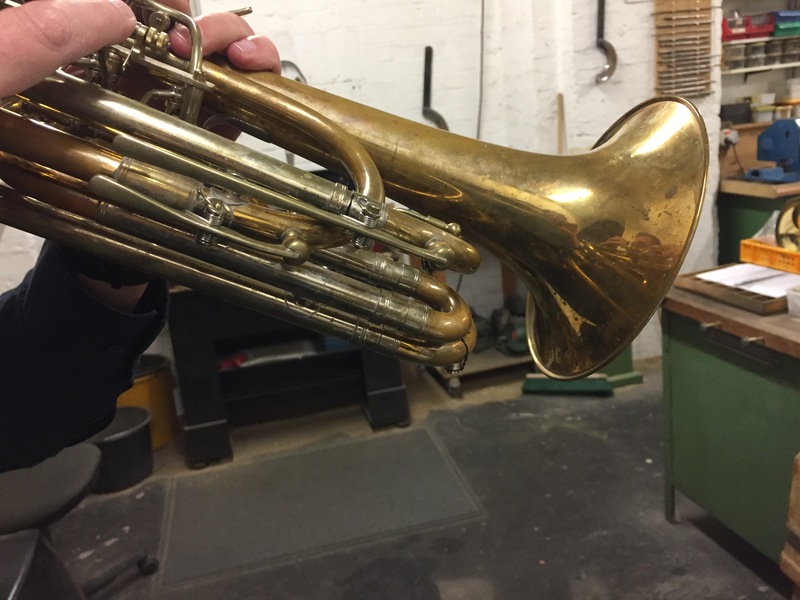 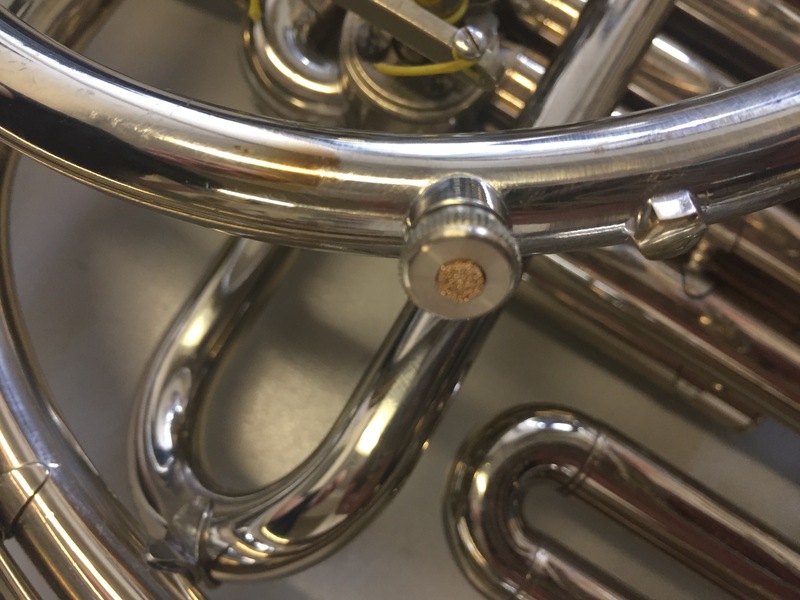 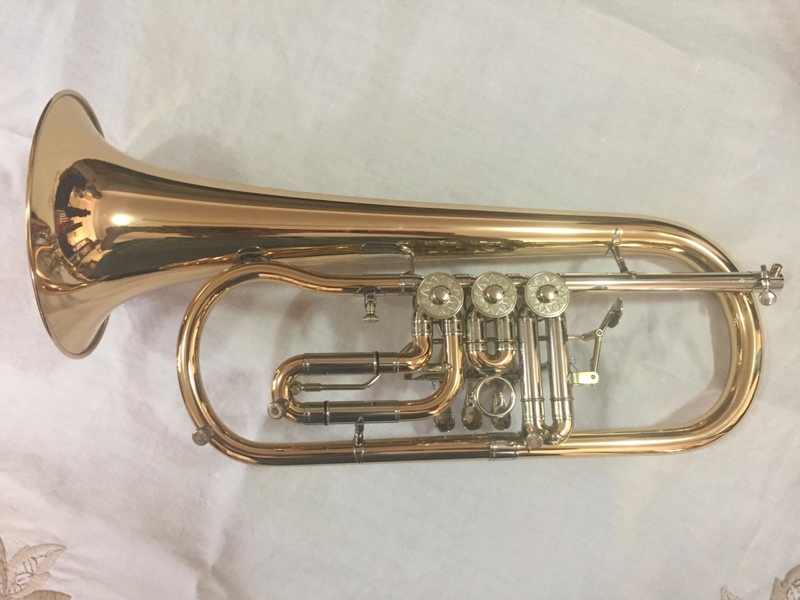 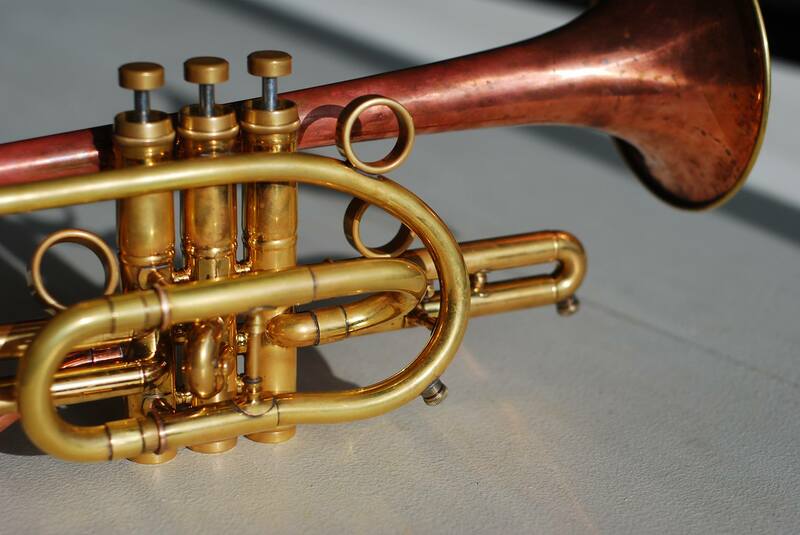 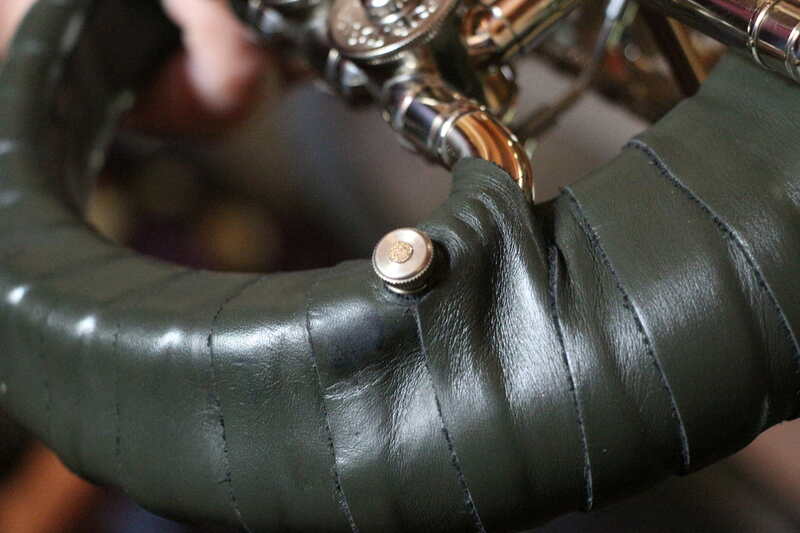 Thousands of JoyKeys have already been fitted to the whole range of brass instruments and some of the woodwinds. 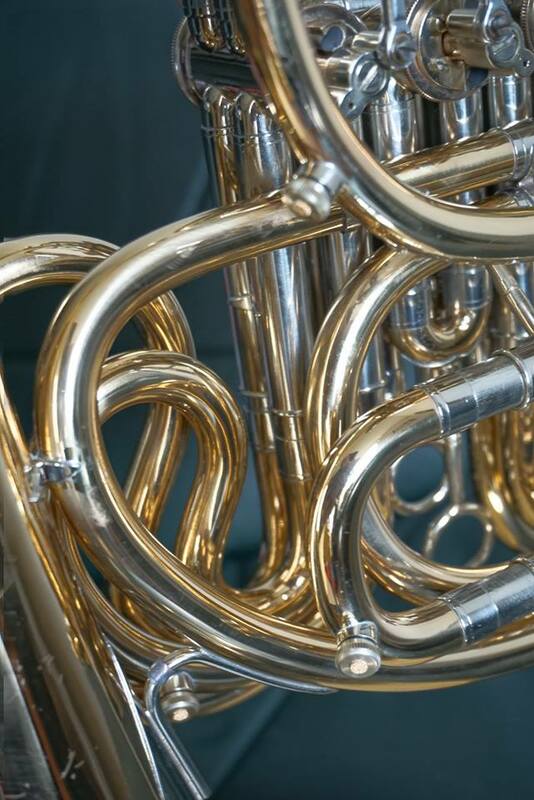 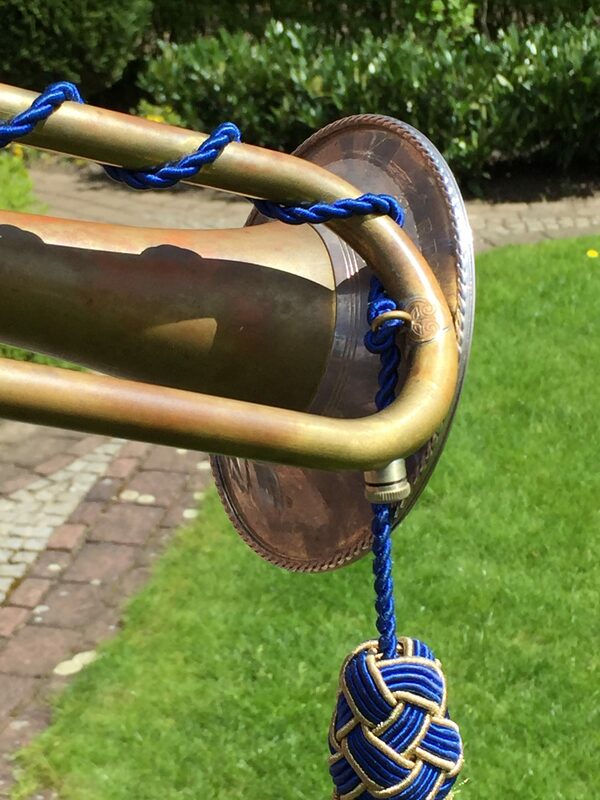 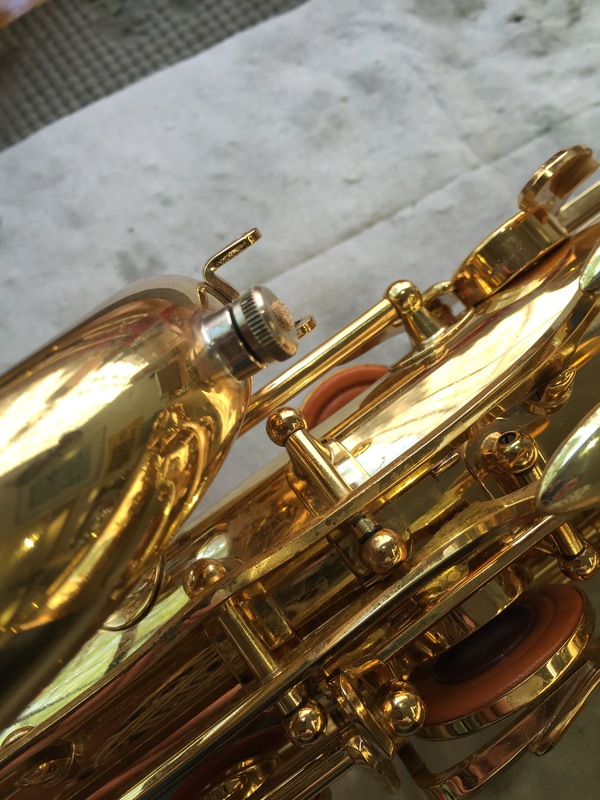 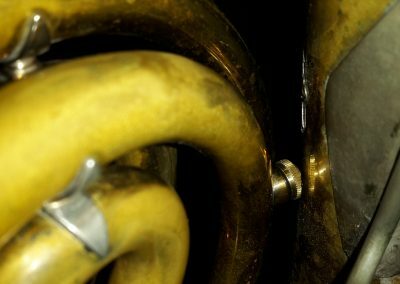 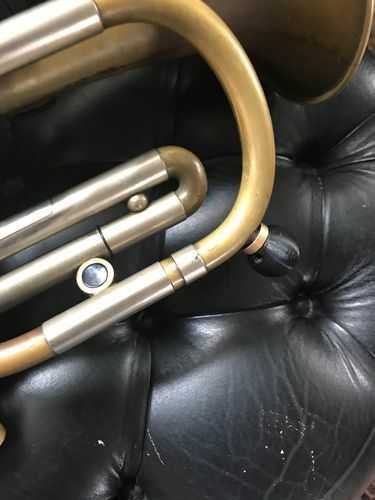 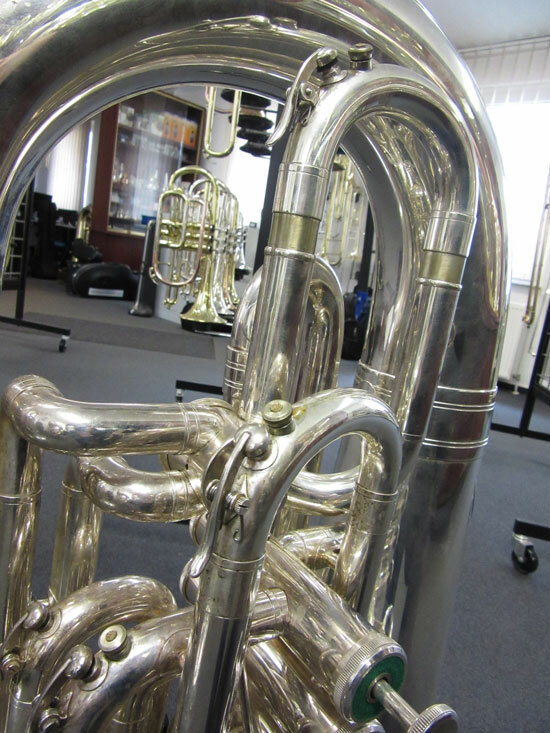 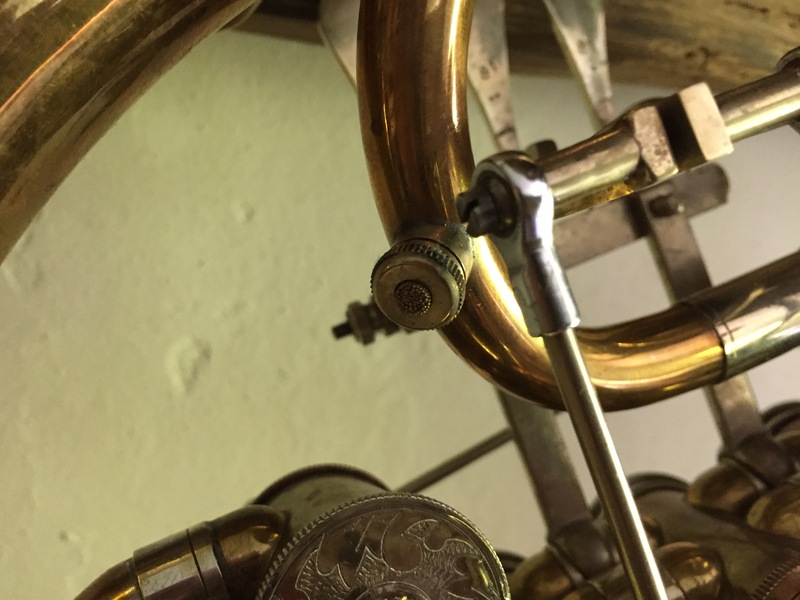 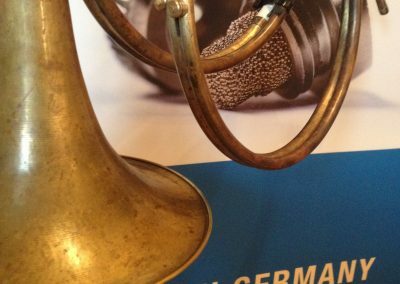 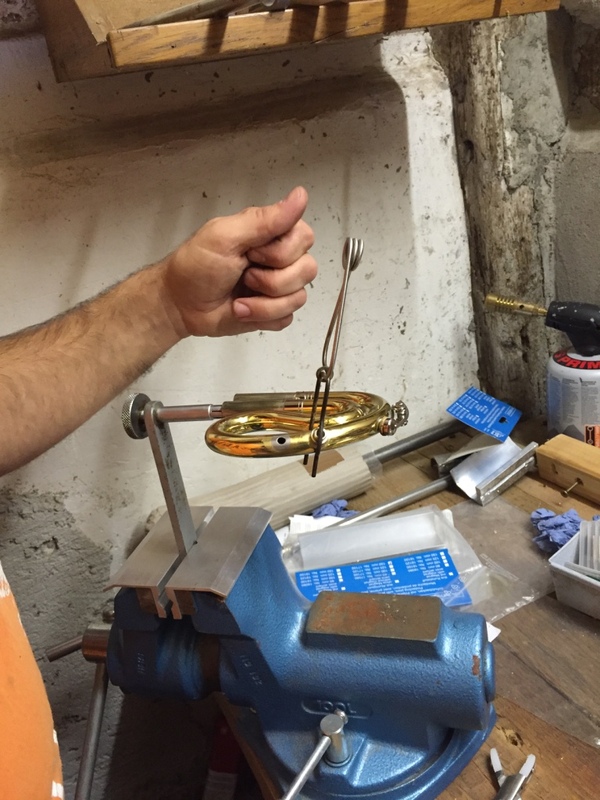 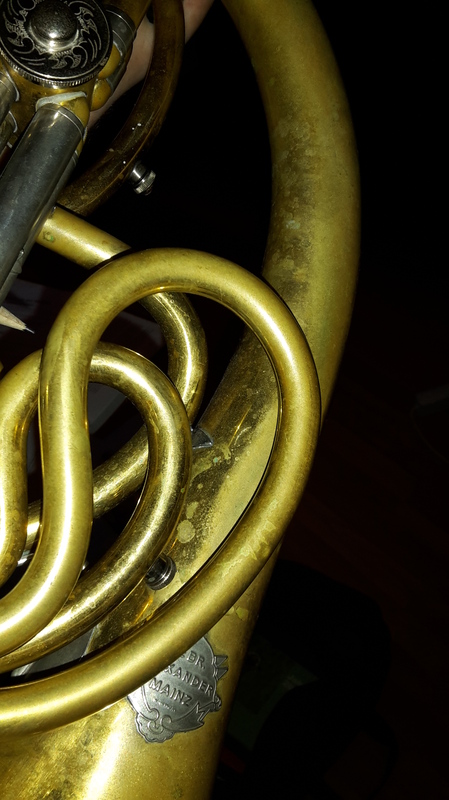 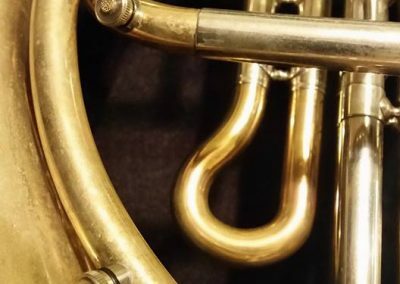 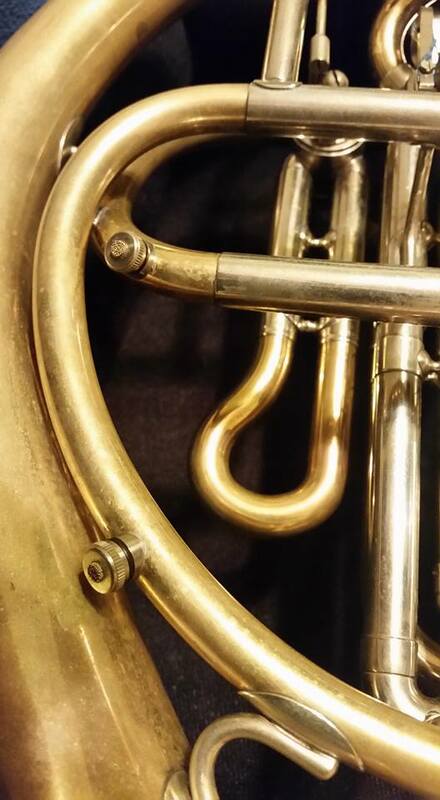 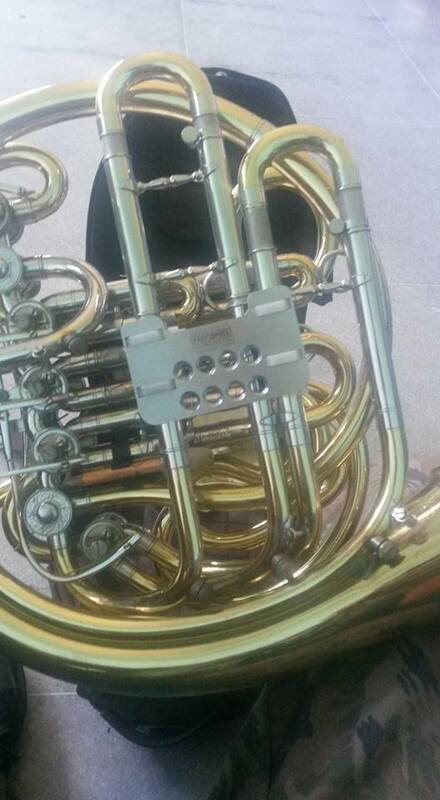 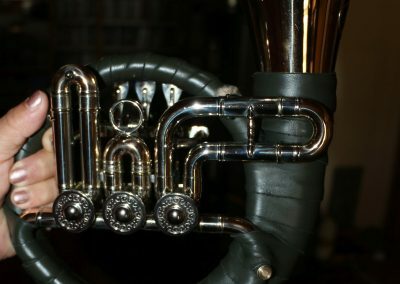 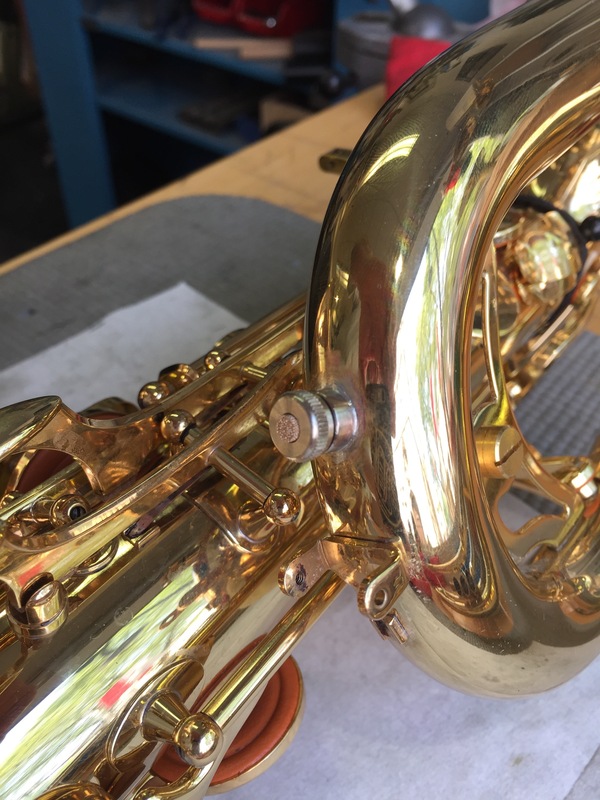 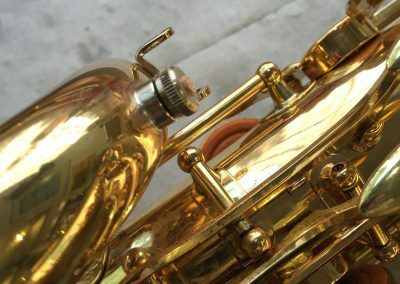 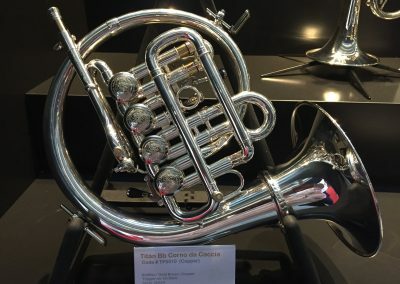 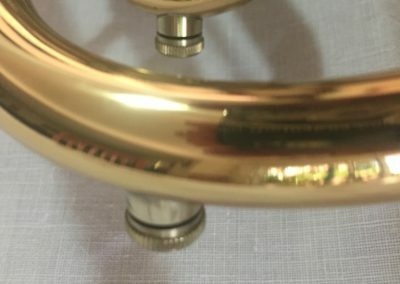 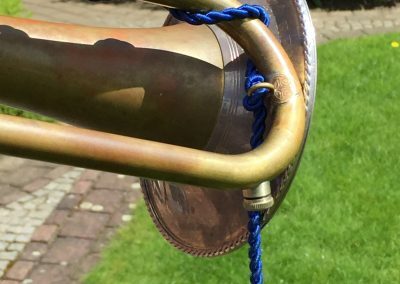 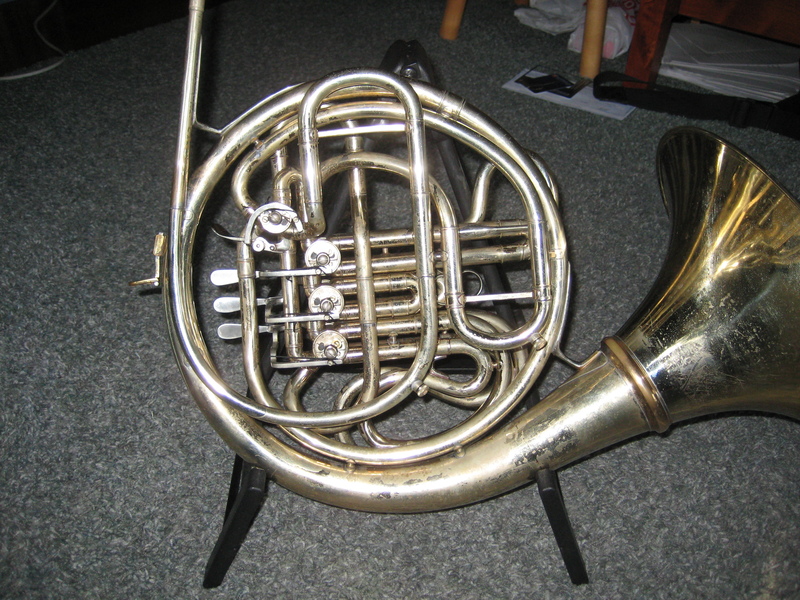 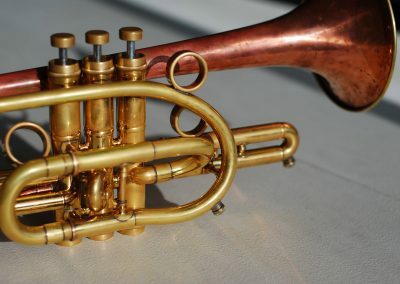 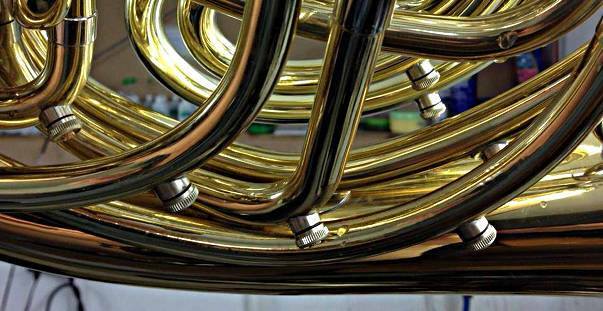 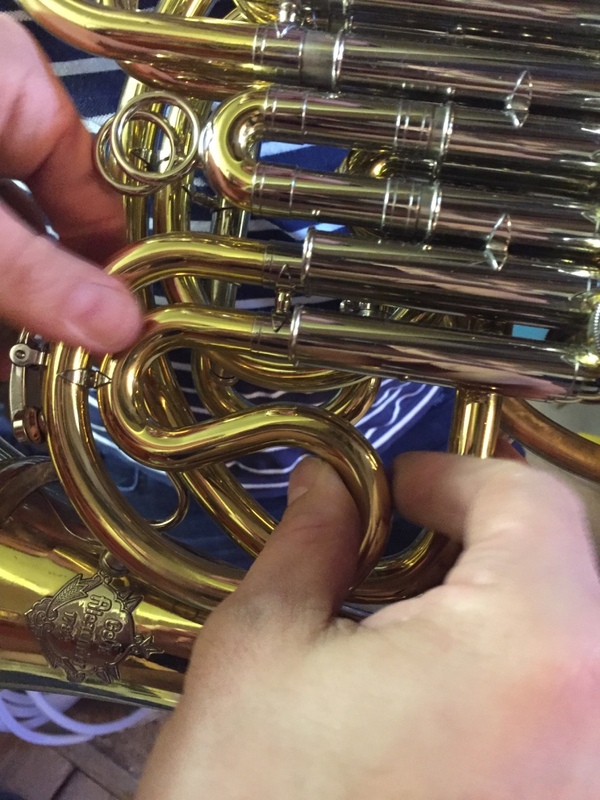 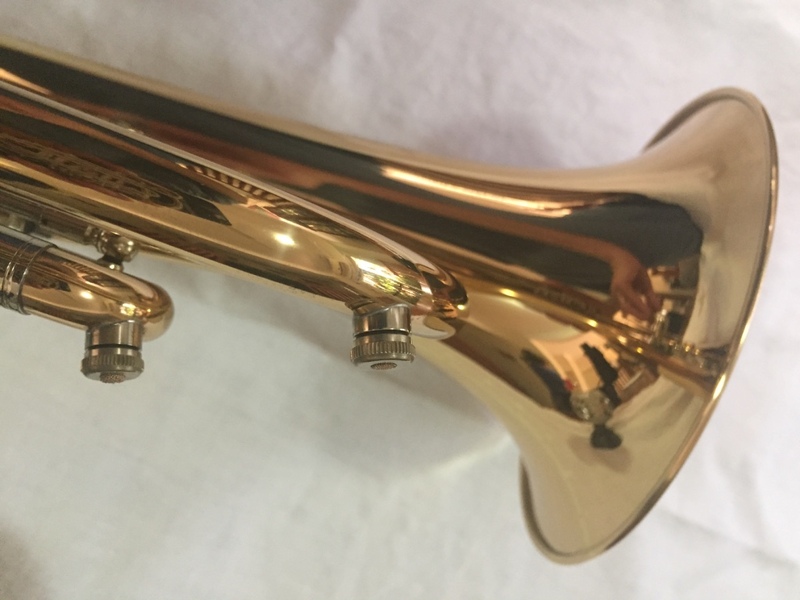 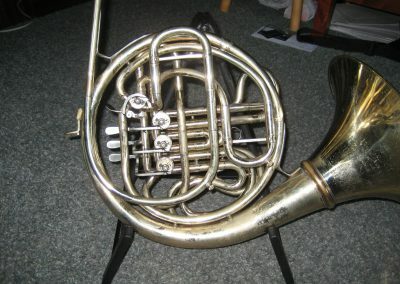 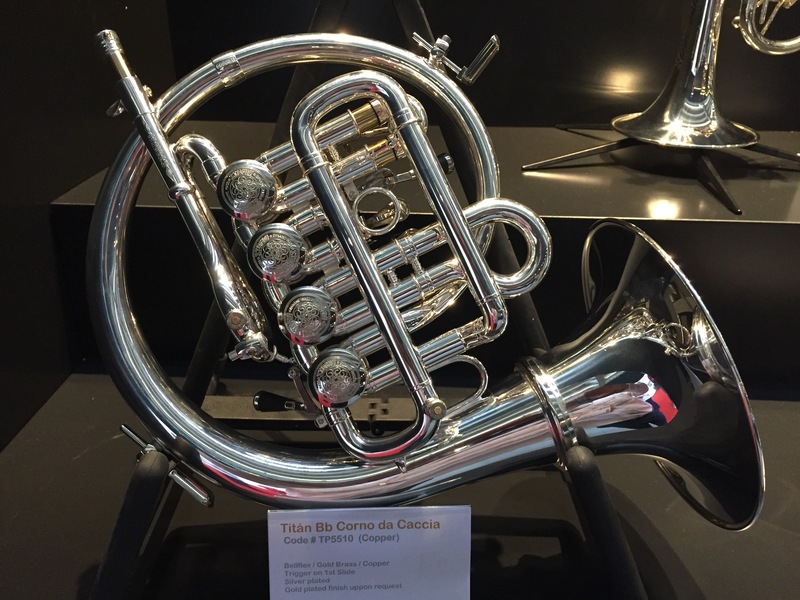 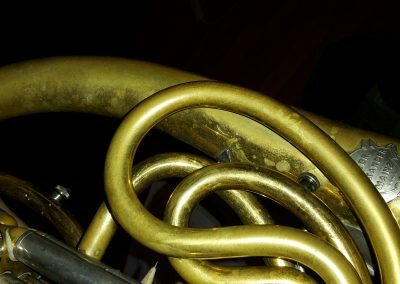 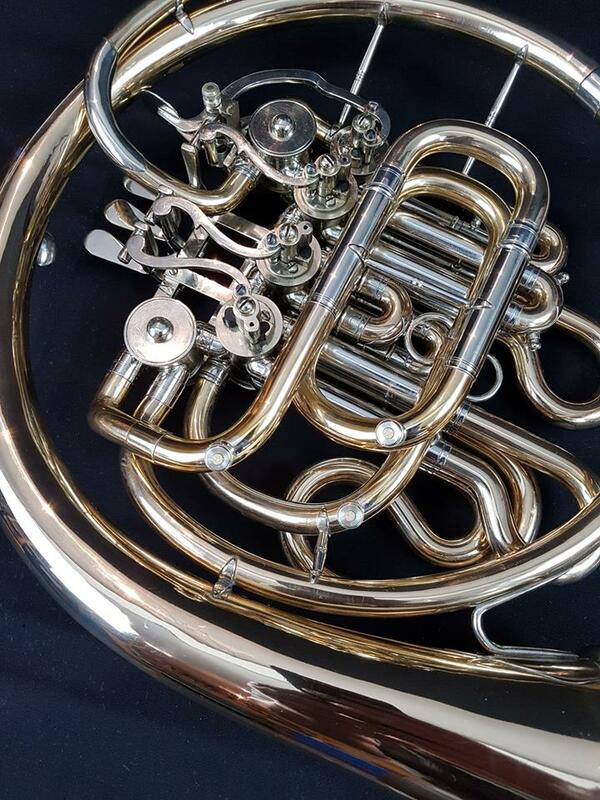 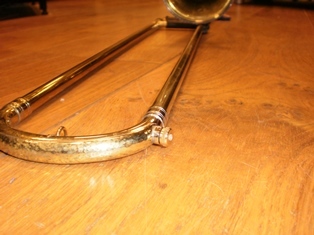 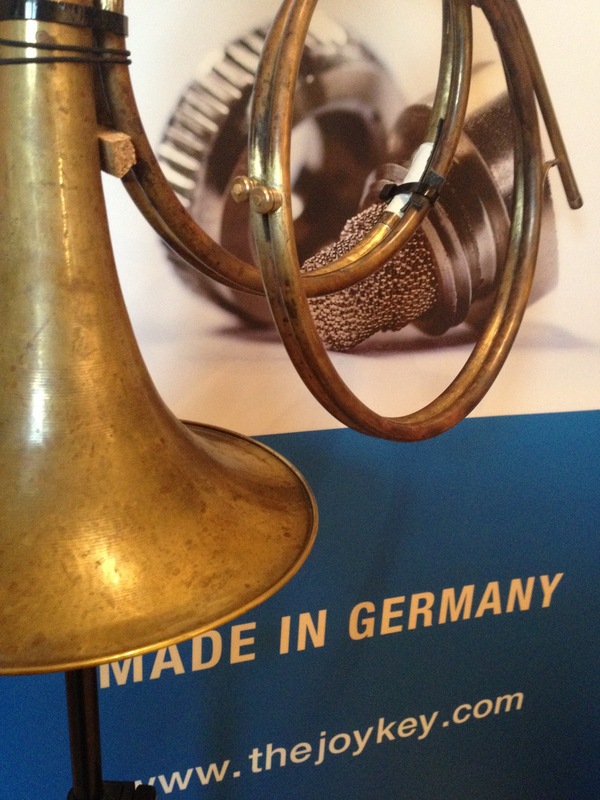 On some horns, the third valve slide is too close to the bell to allow a JoyKey to slide past. 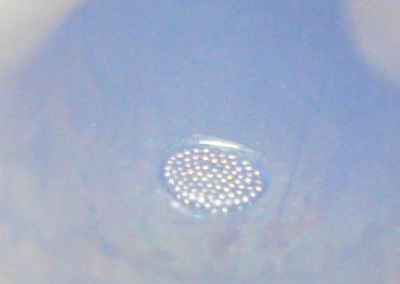 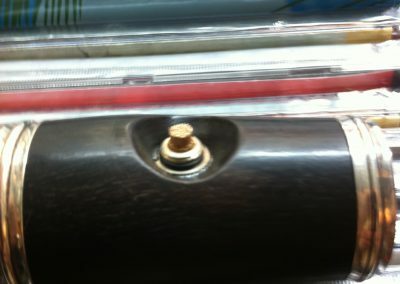 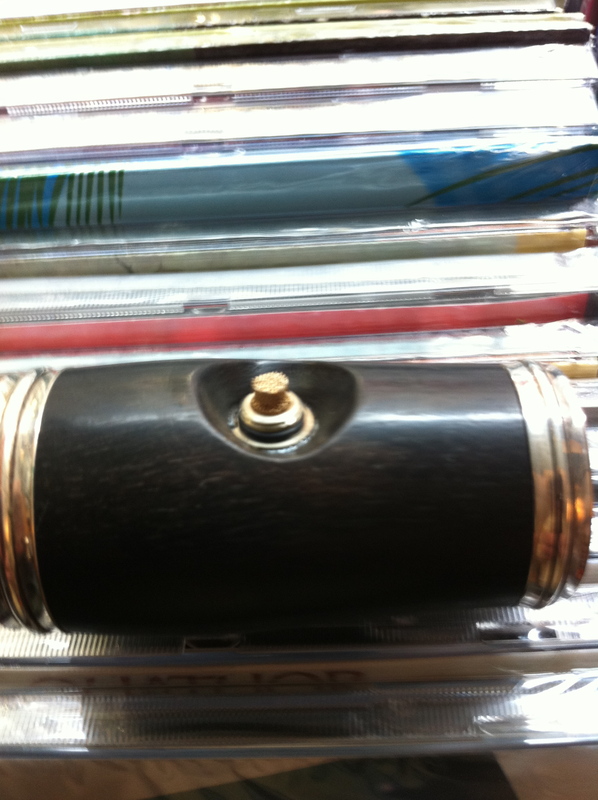 In this case, you can shorten one of the legs and insert the cut off piece into the receiver. 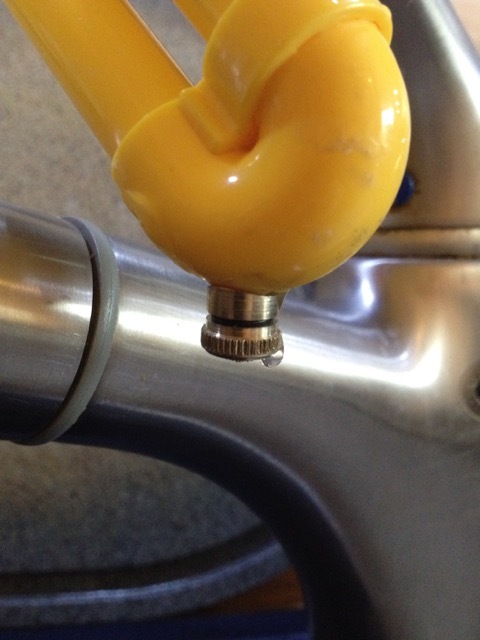 This allows you to firstly insert the longer leg holding the slide on angle. 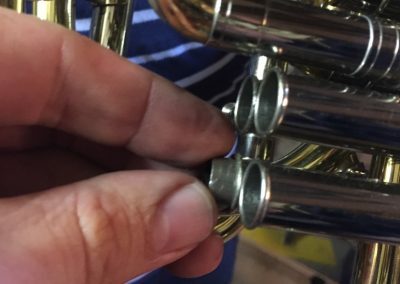 Once in far enough, you lower the shortened leg into the other receiver. 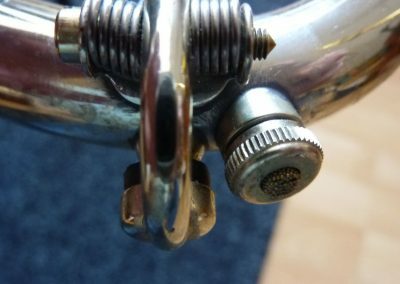 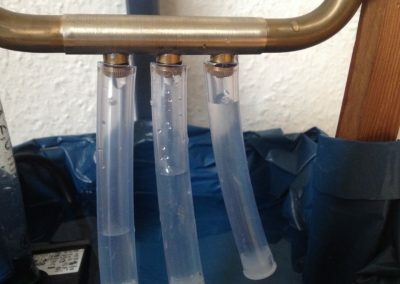 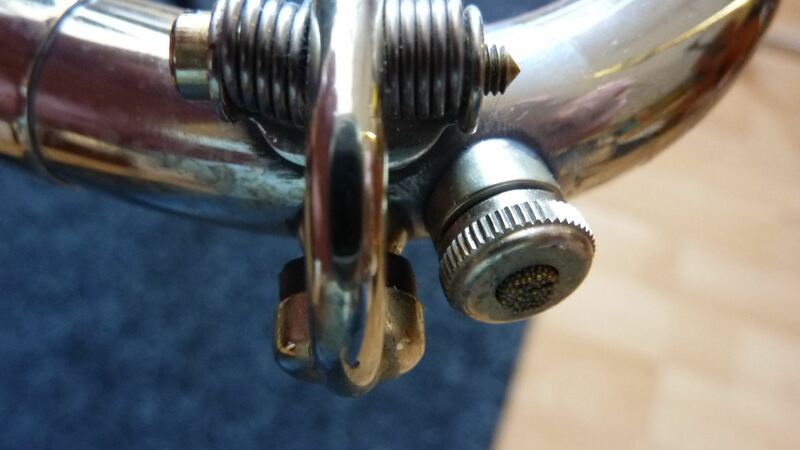 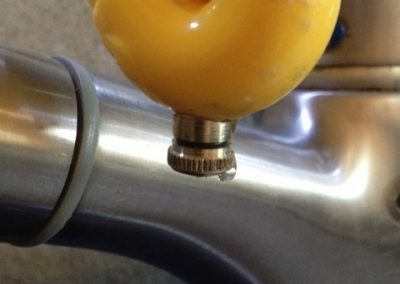 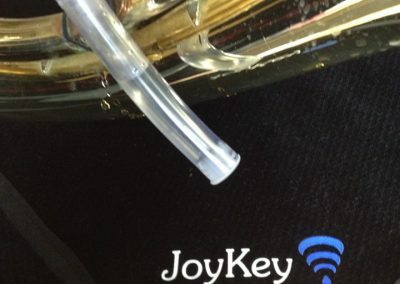 If a water key is already installed but in a different position to where the JoyKey needs to be (at the lowest point on the tubing) you can leave the water key on and install the JoyKey next to it. 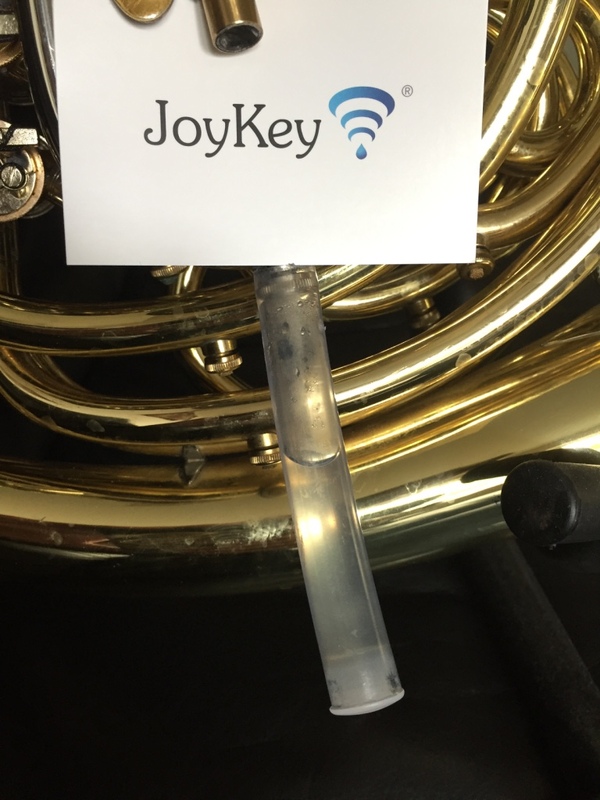 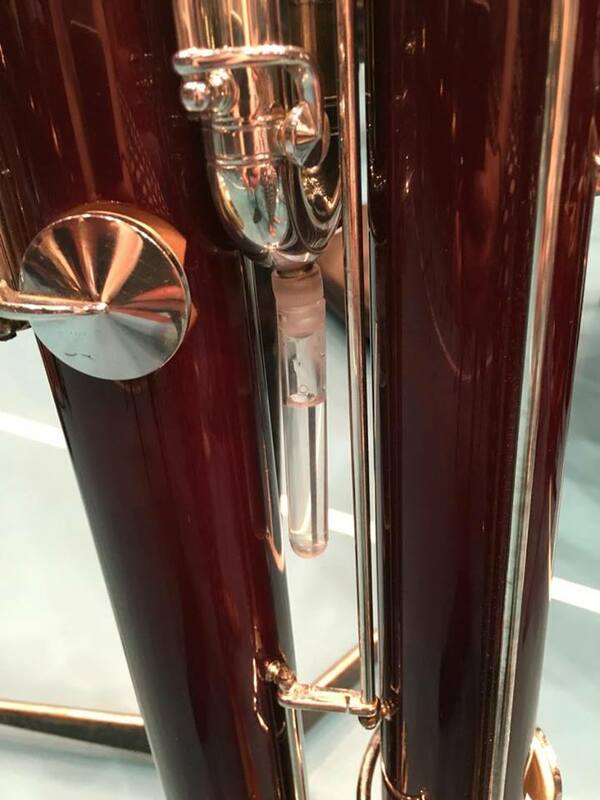 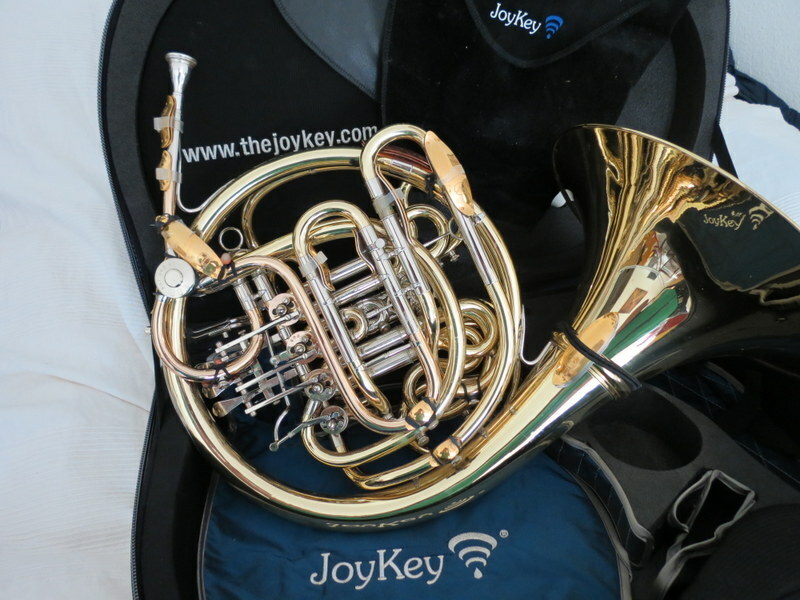 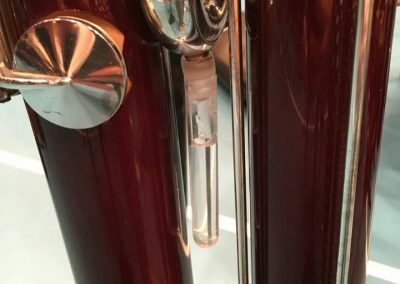 The JoyKey also works perfectly on those woodwind instruments that otherwise use water keys or pulling slides to drain water. 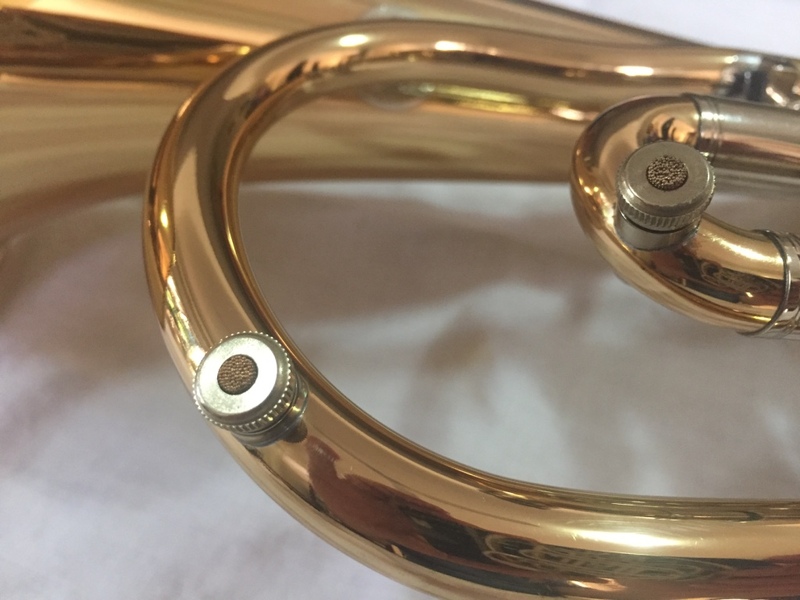 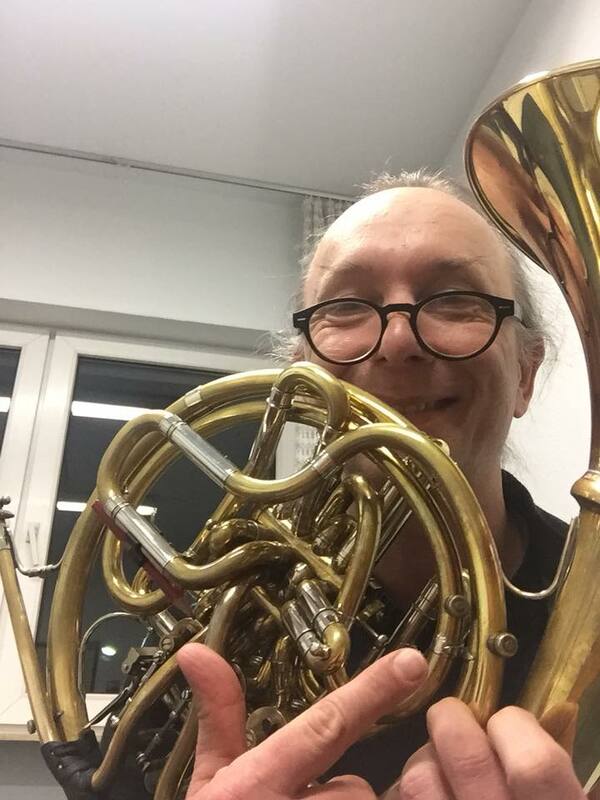 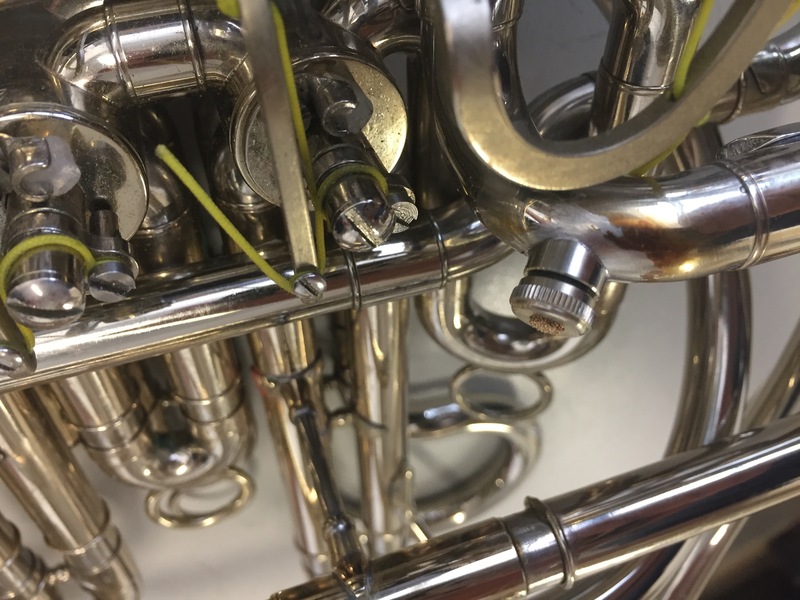 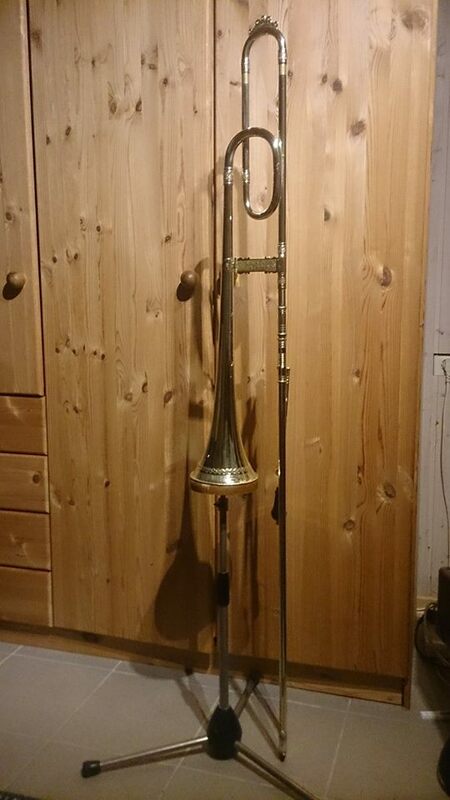 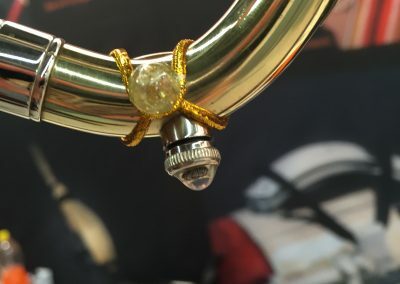 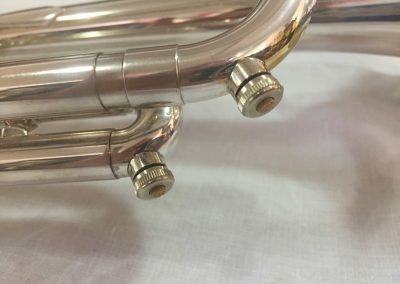 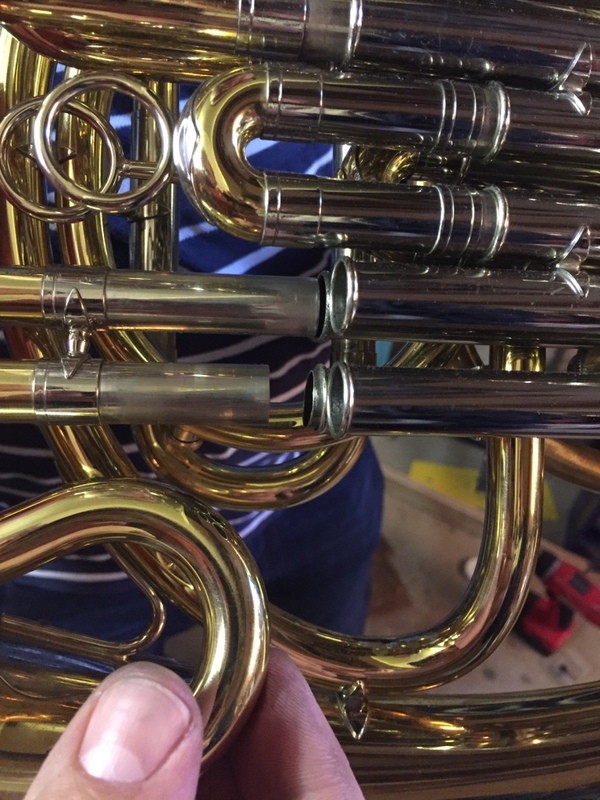 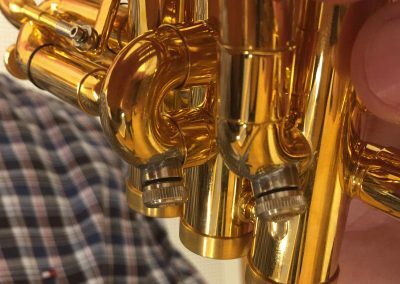 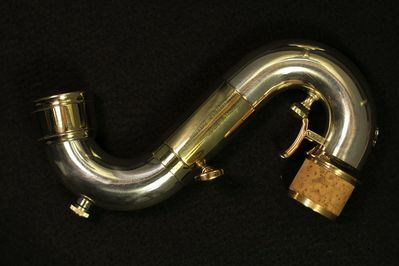 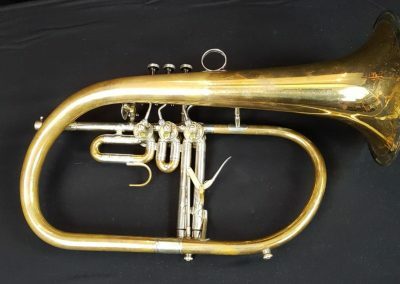 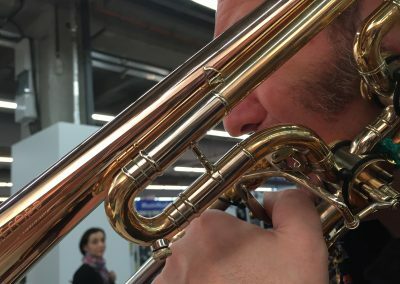 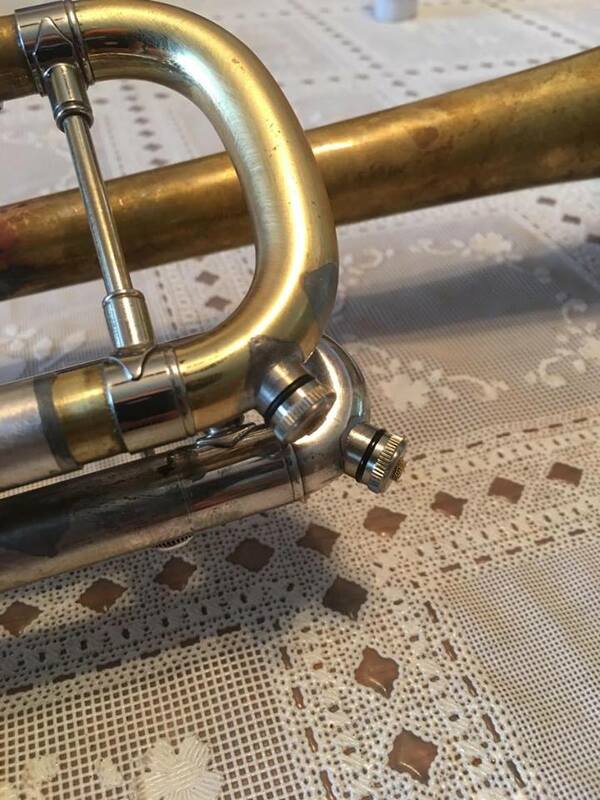 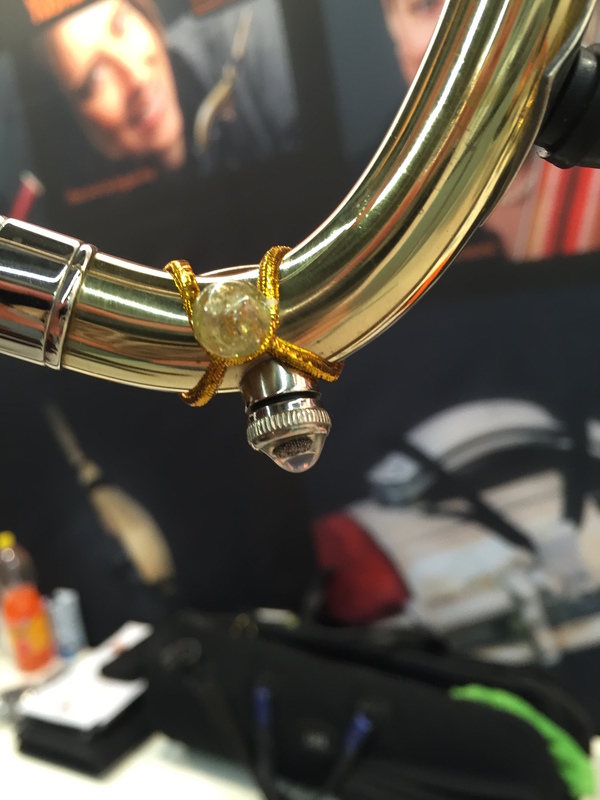 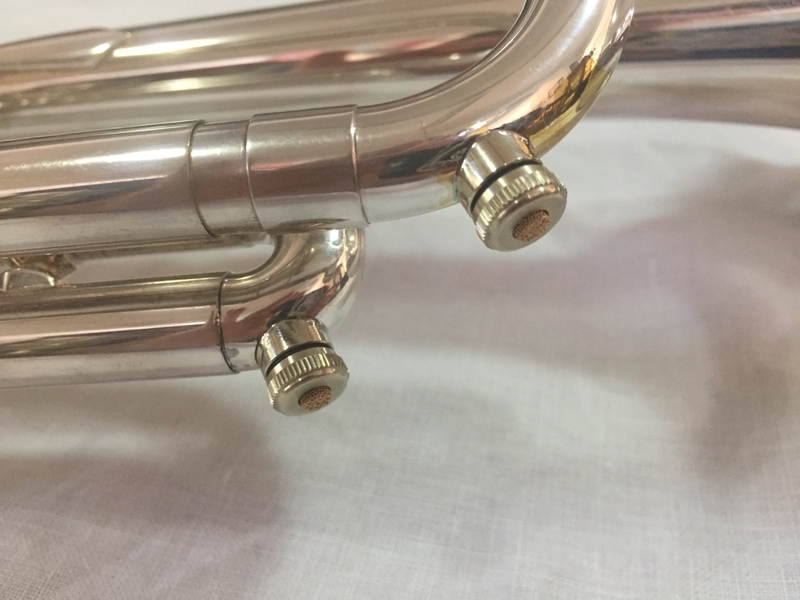 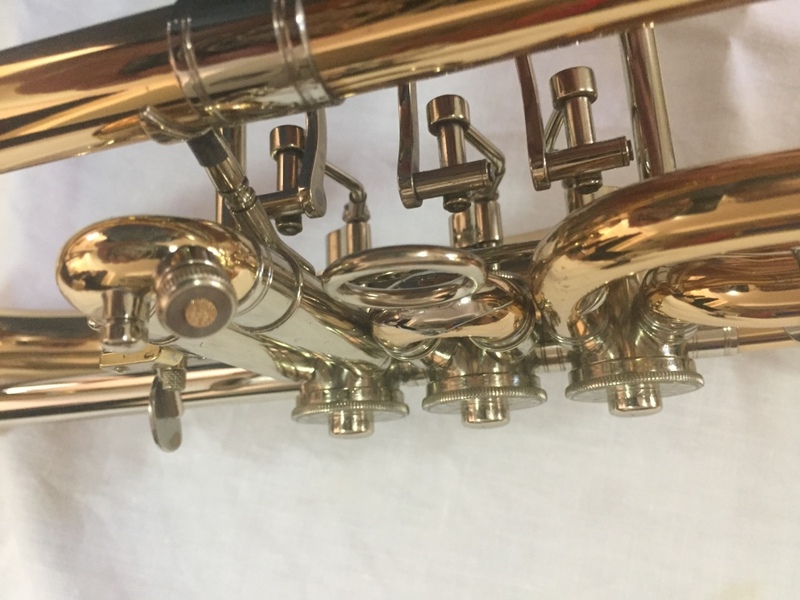 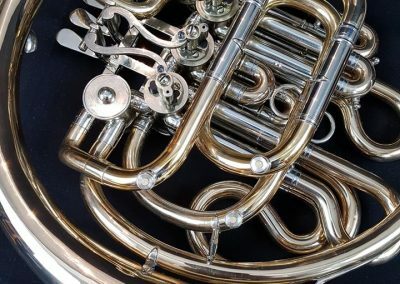 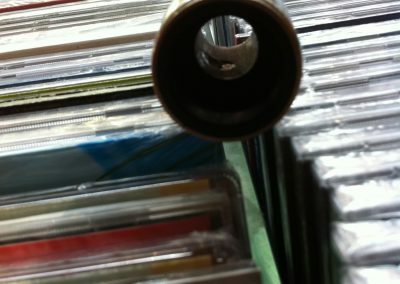 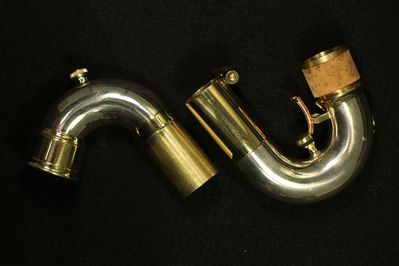 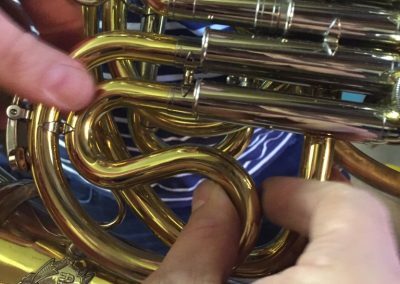 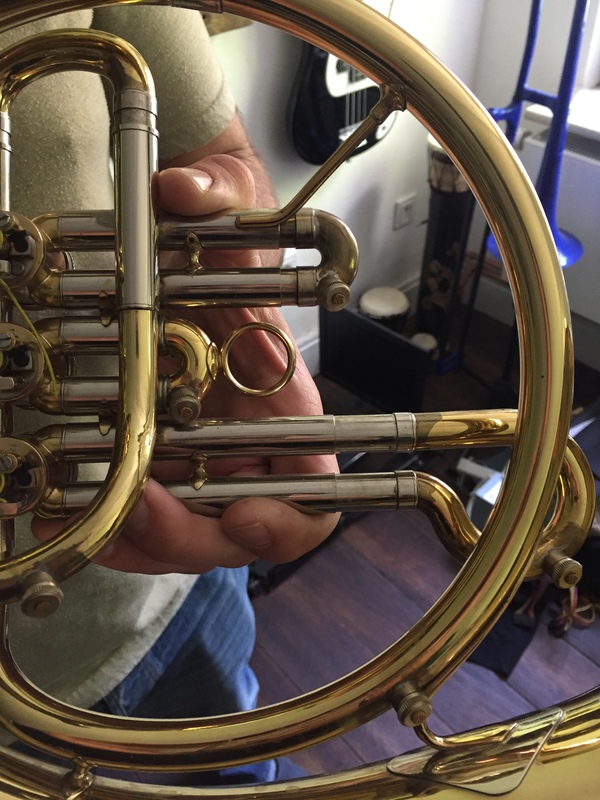 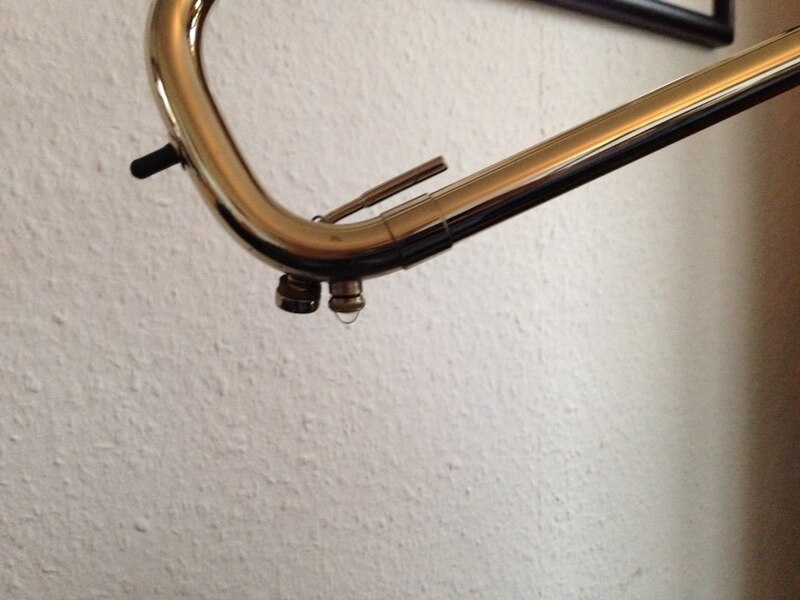 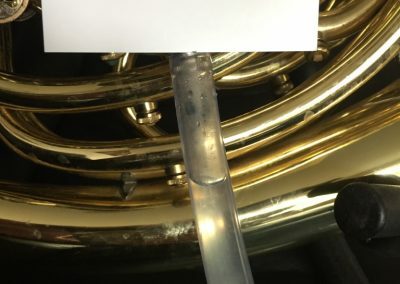 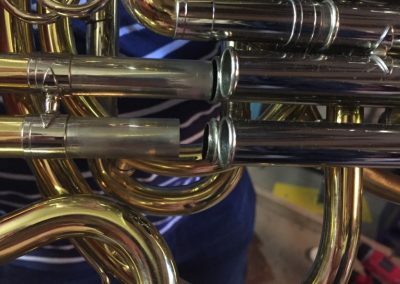 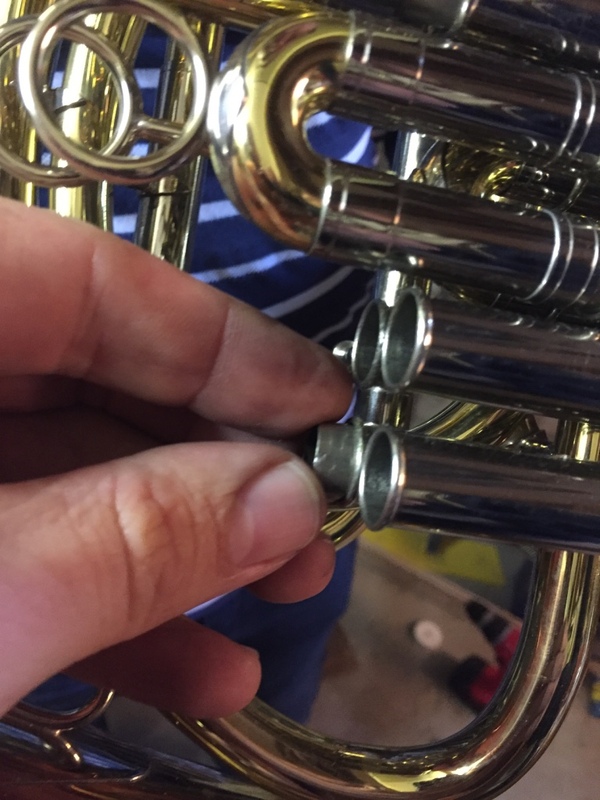 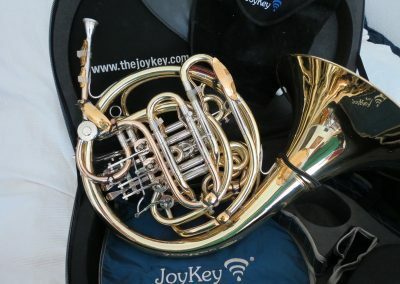 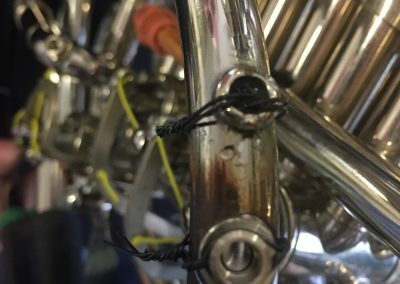 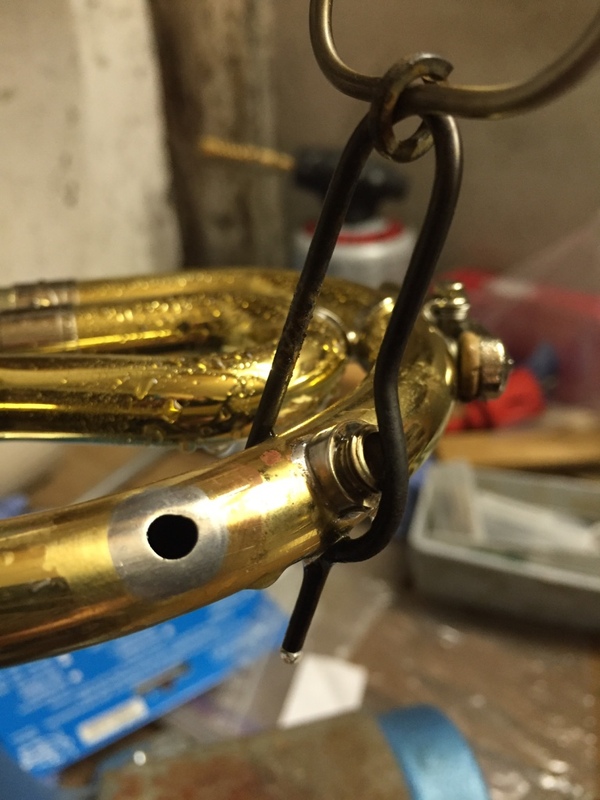 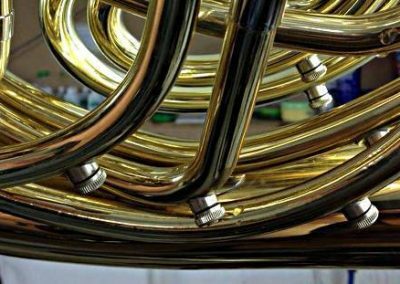 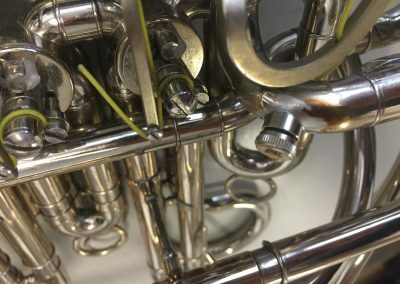 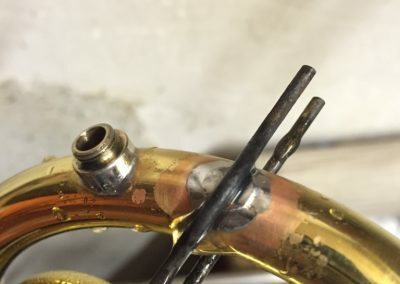 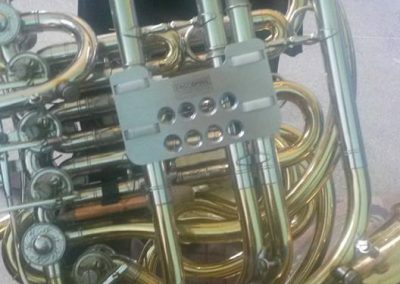 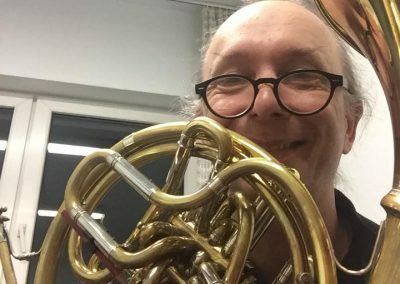 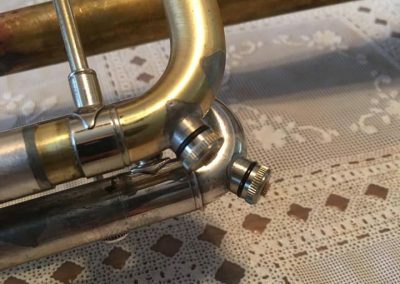 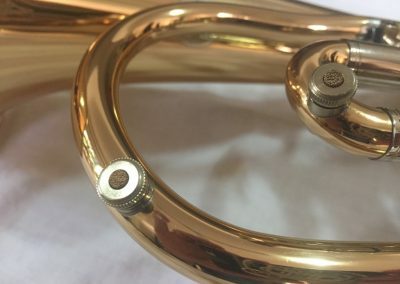 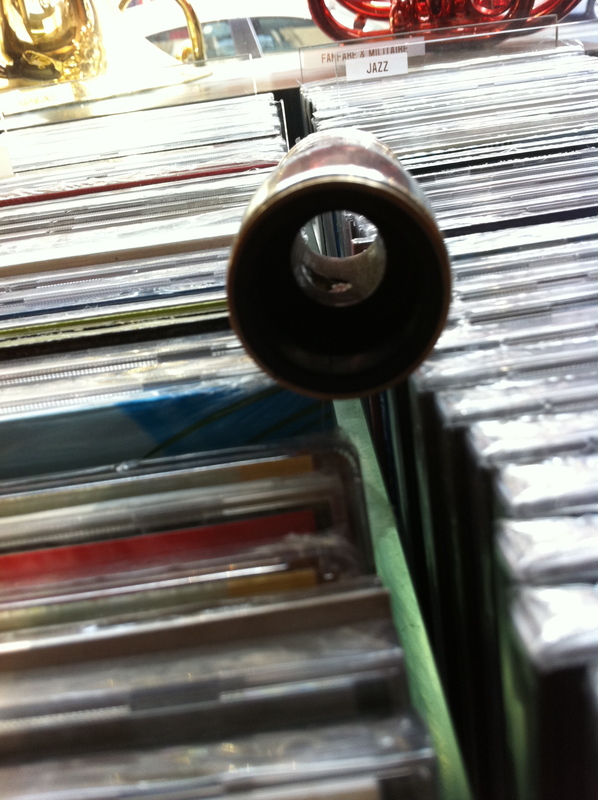 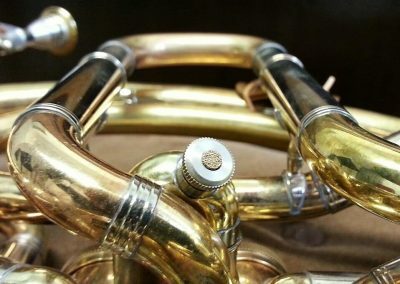 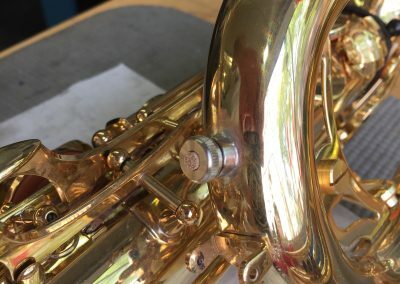 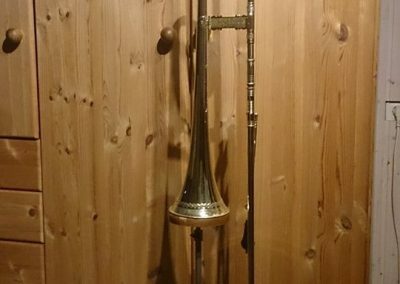 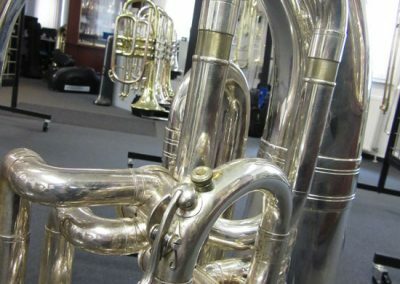 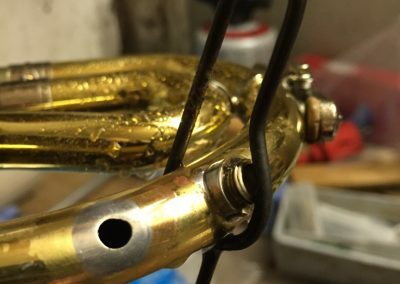 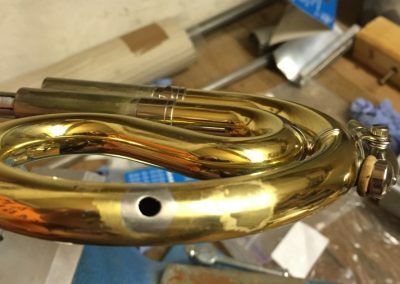 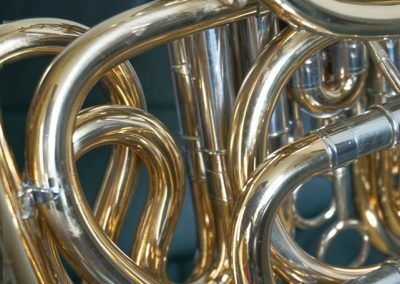 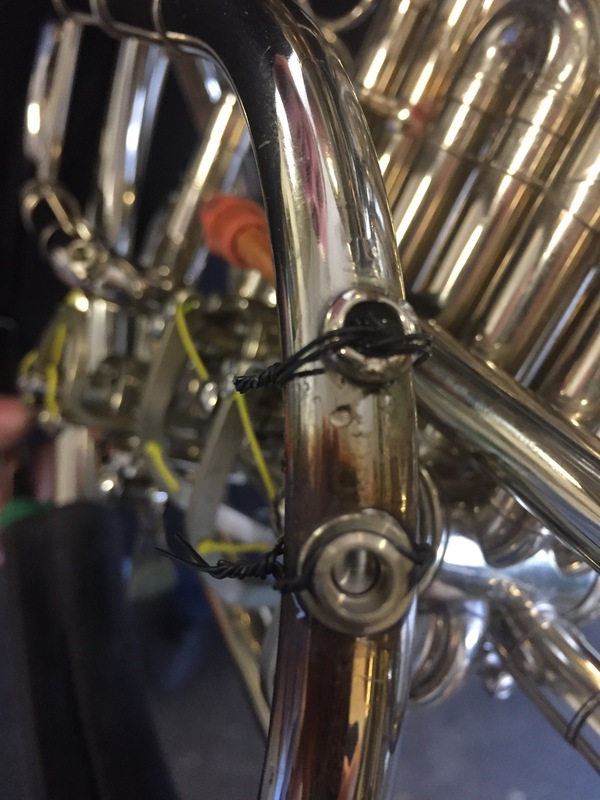 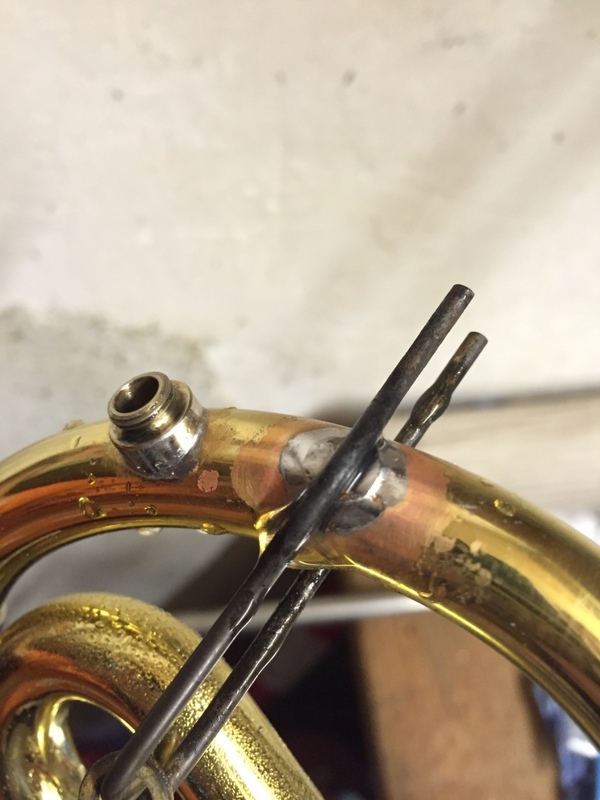 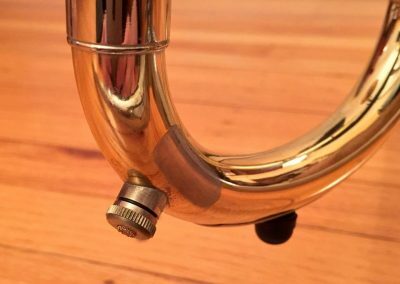 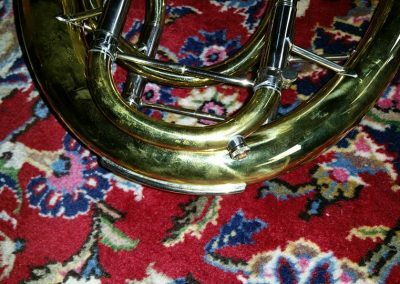 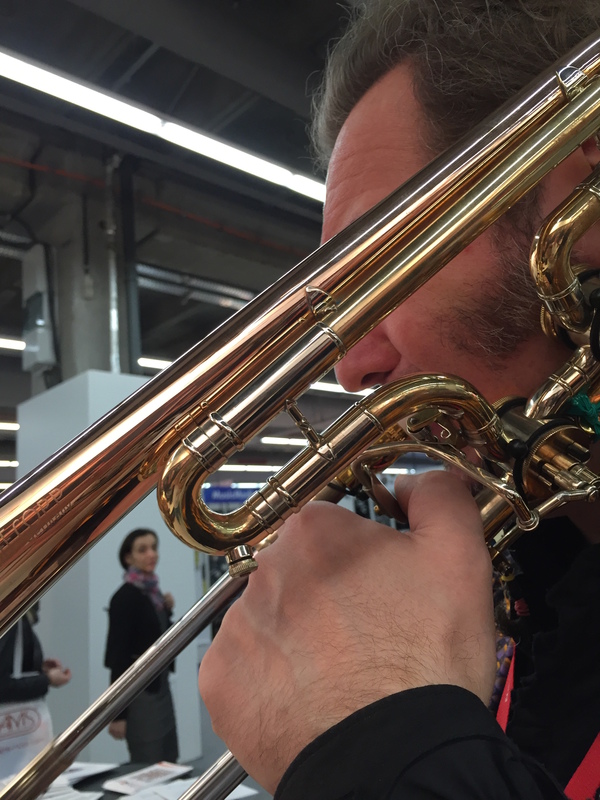 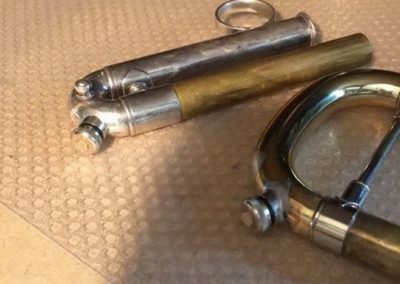 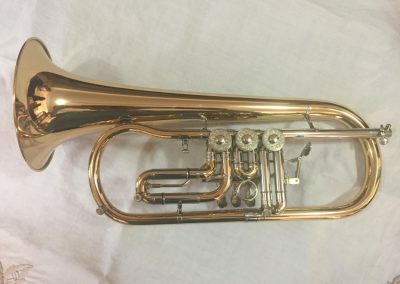 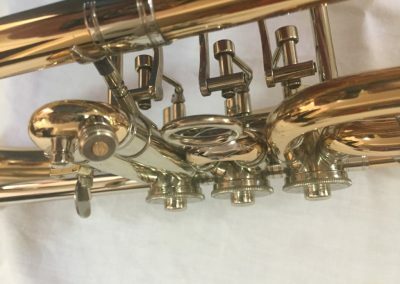 Although one JoyKey is normally enough for trombones some players also opt for a second one on the trigger extension tubing. 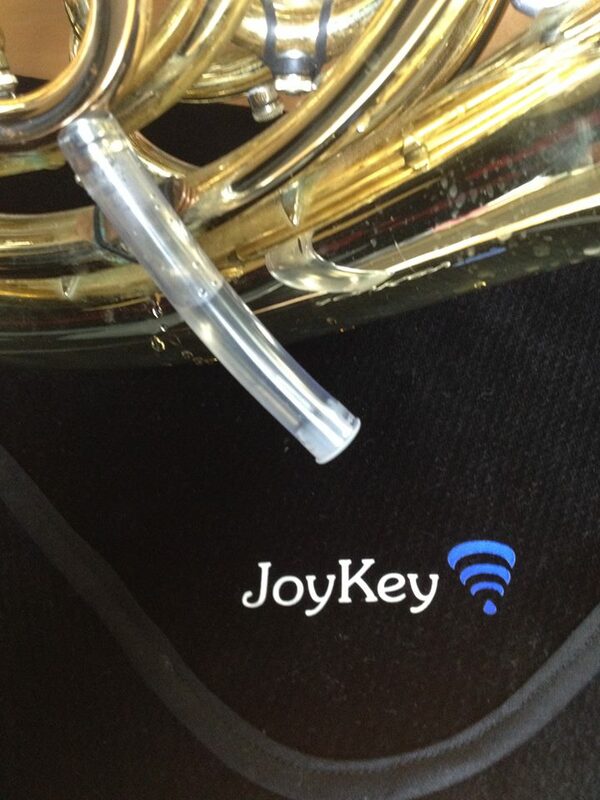 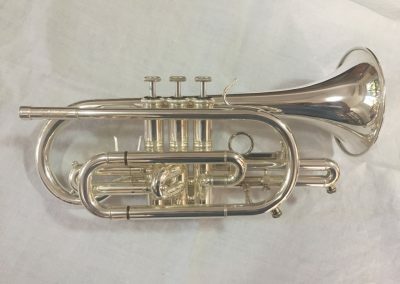 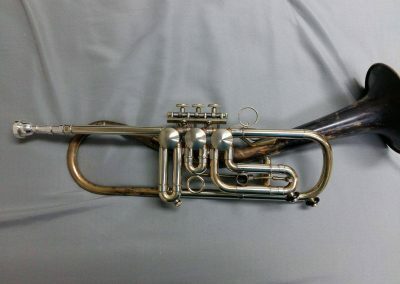 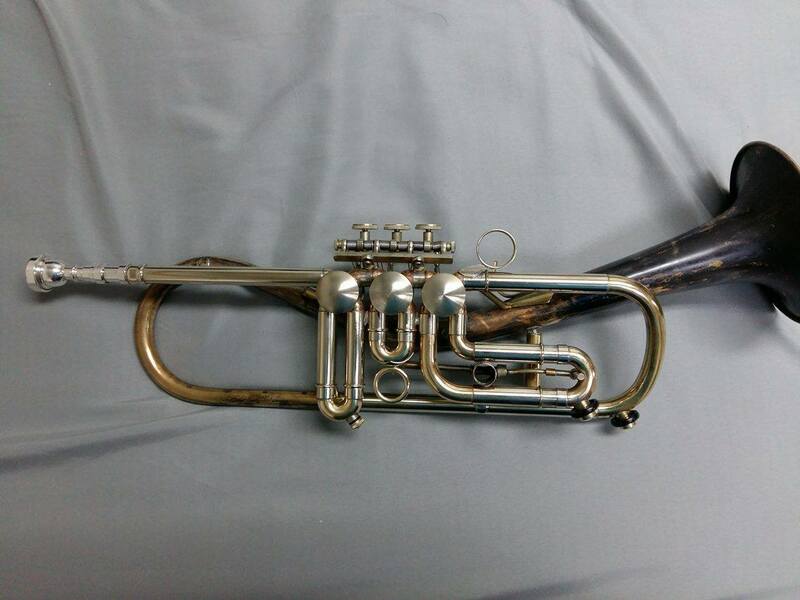 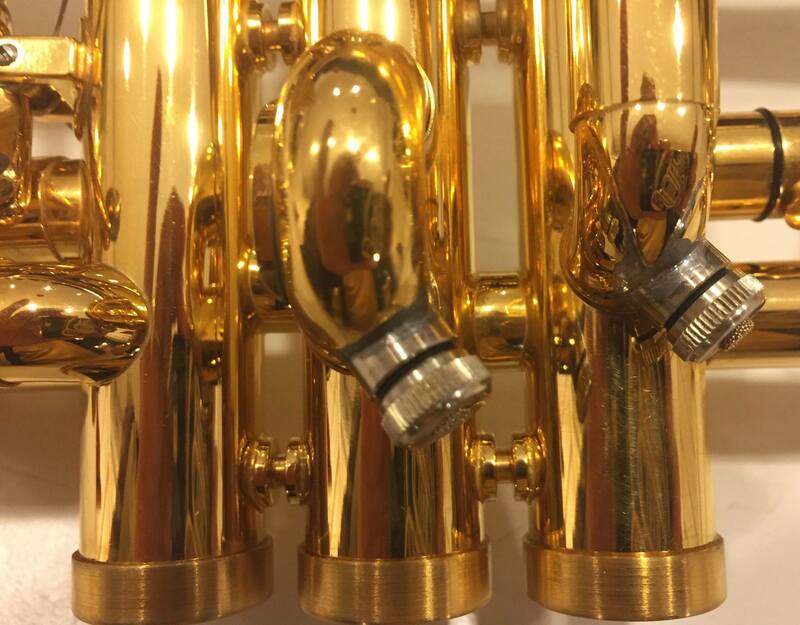 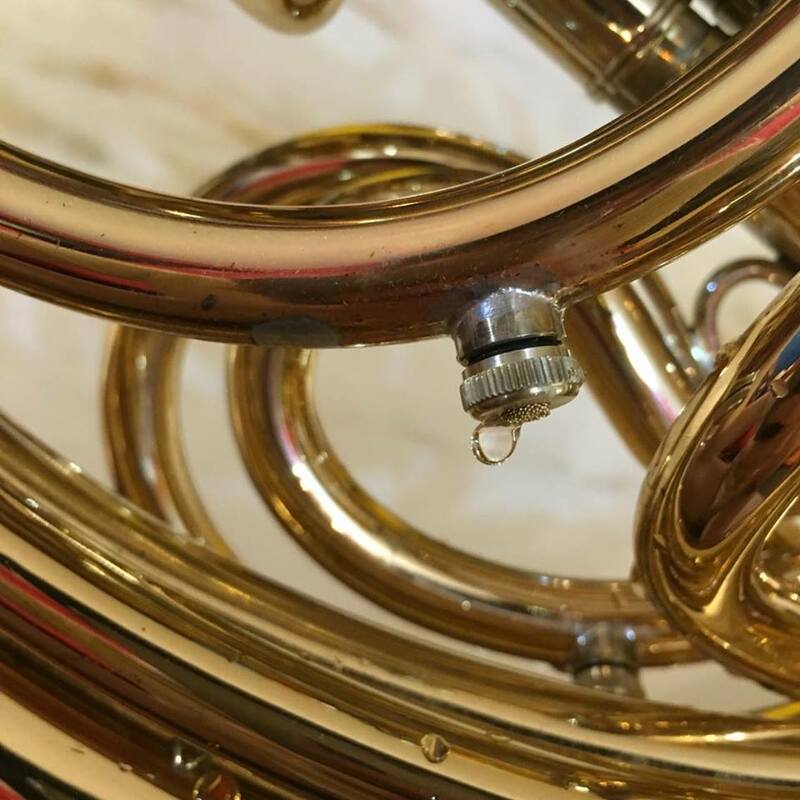 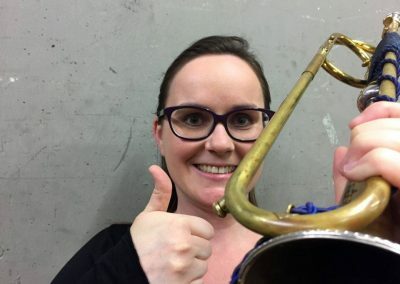 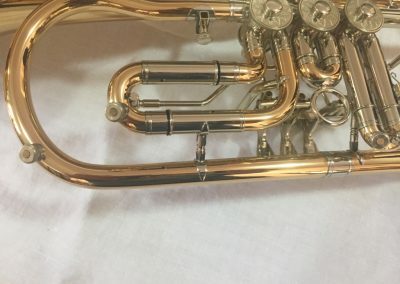 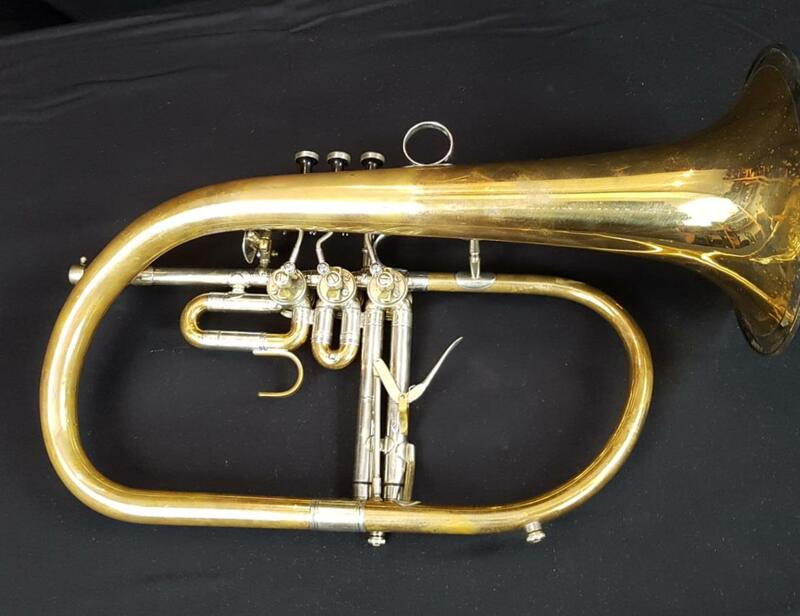 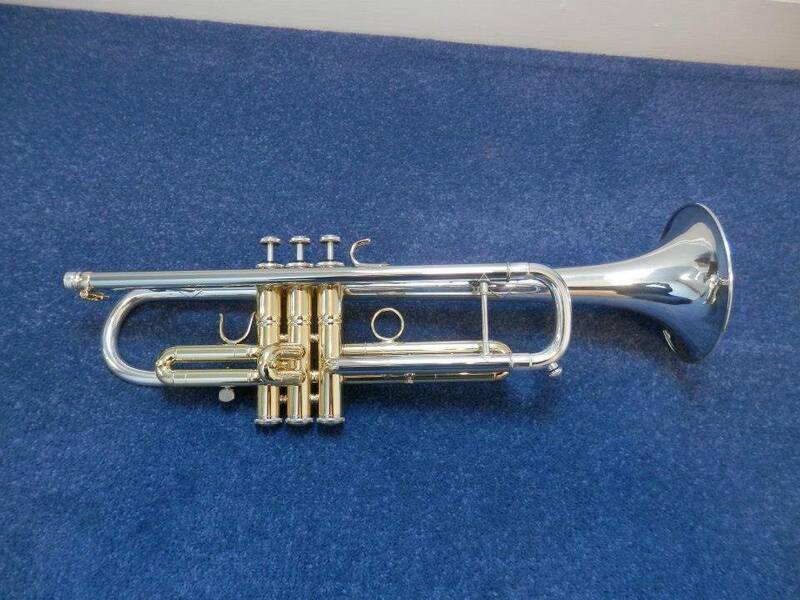 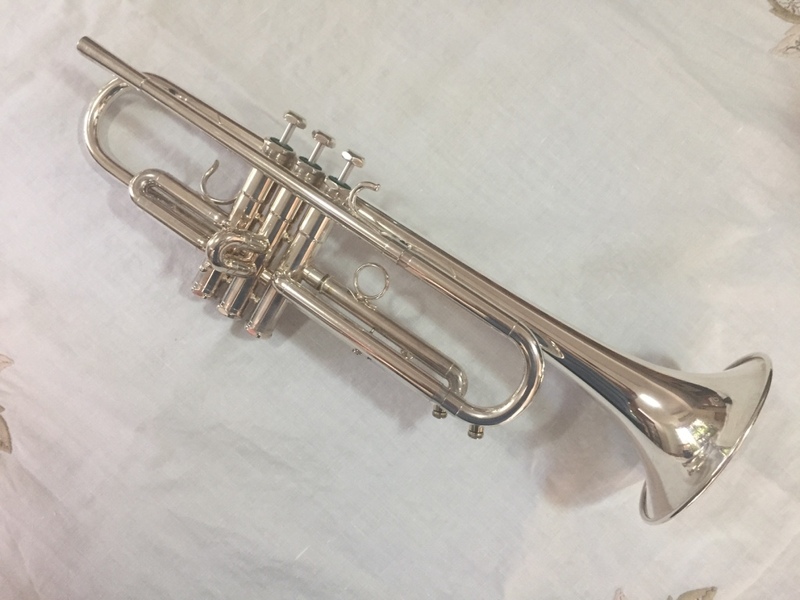 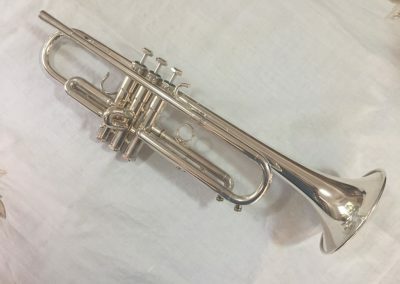 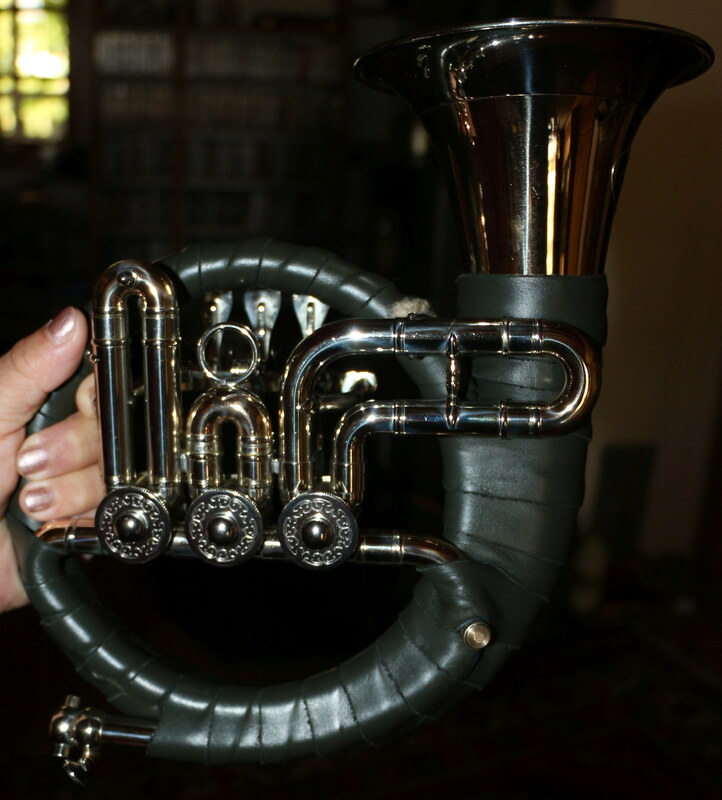 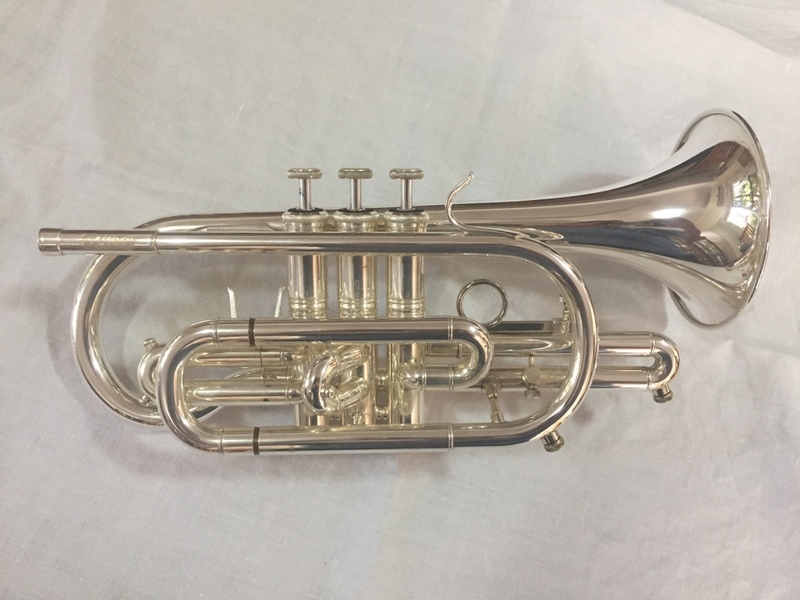 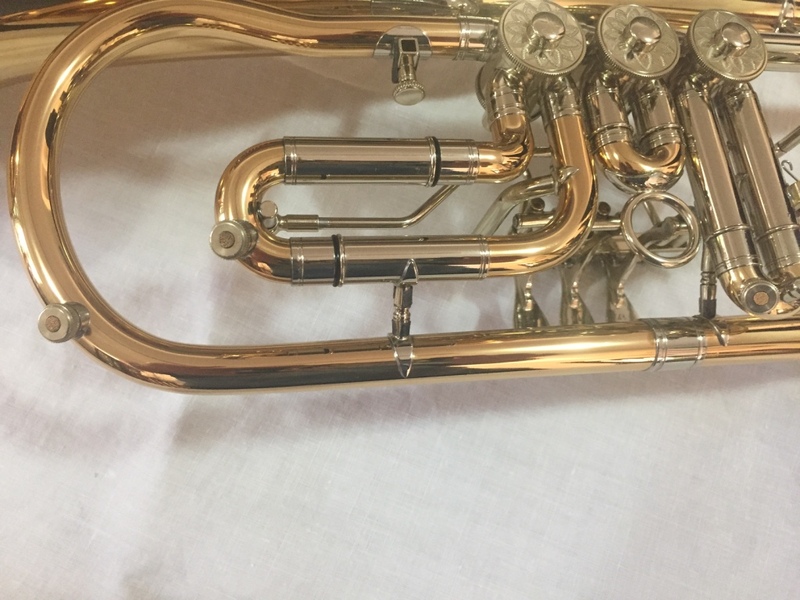 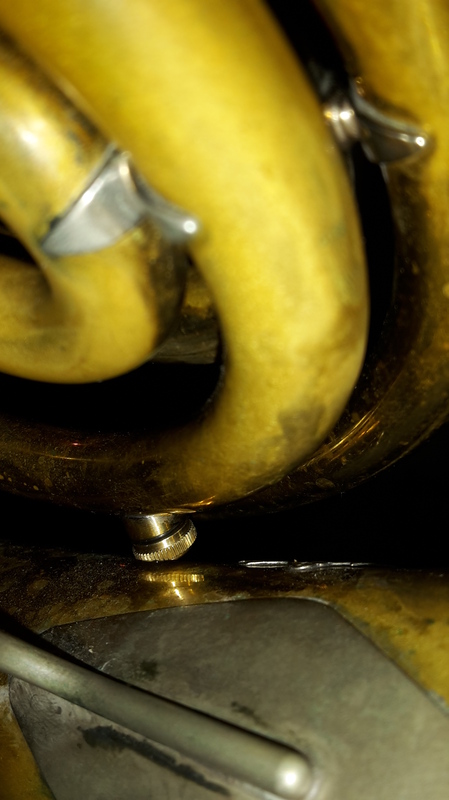 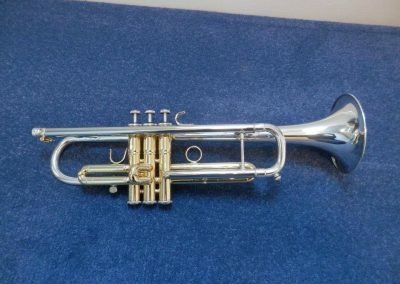 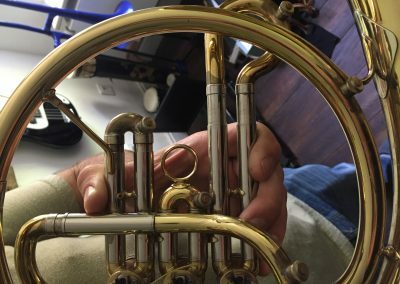 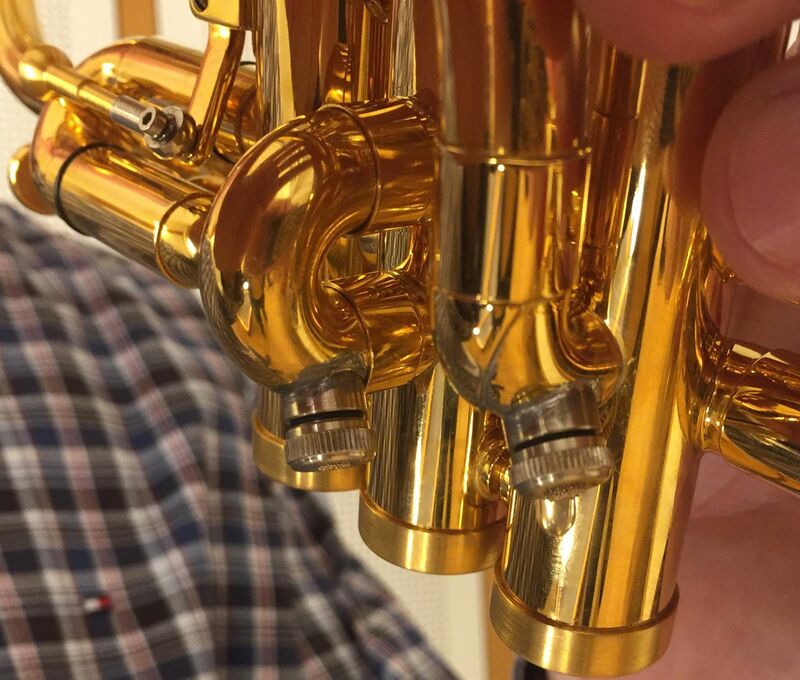 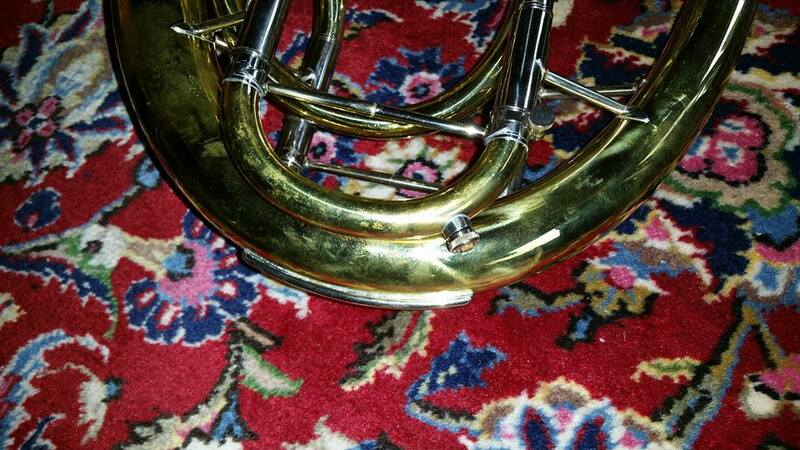 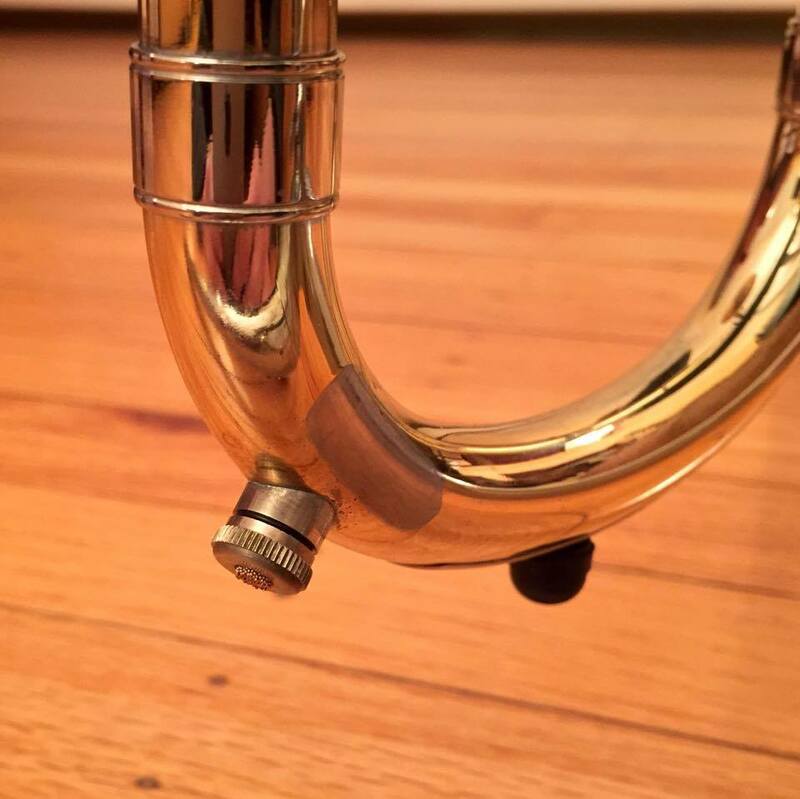 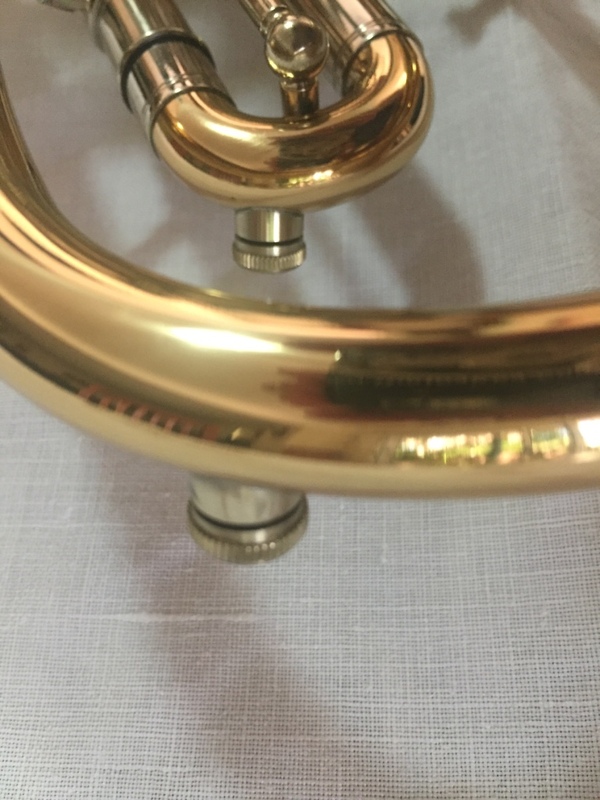 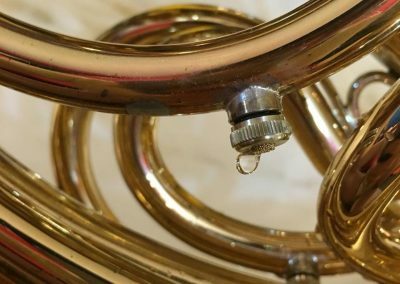 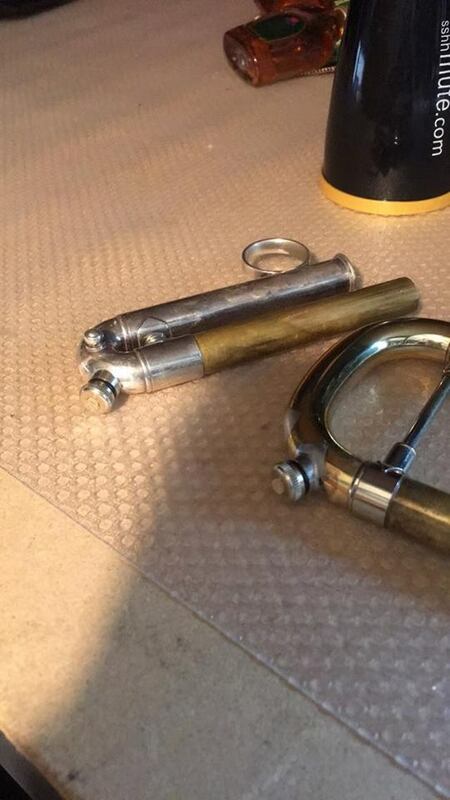 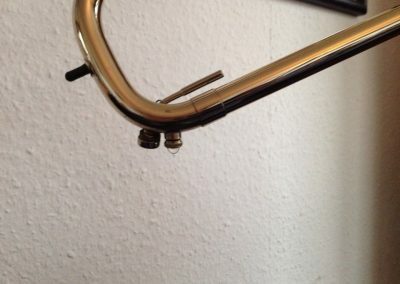 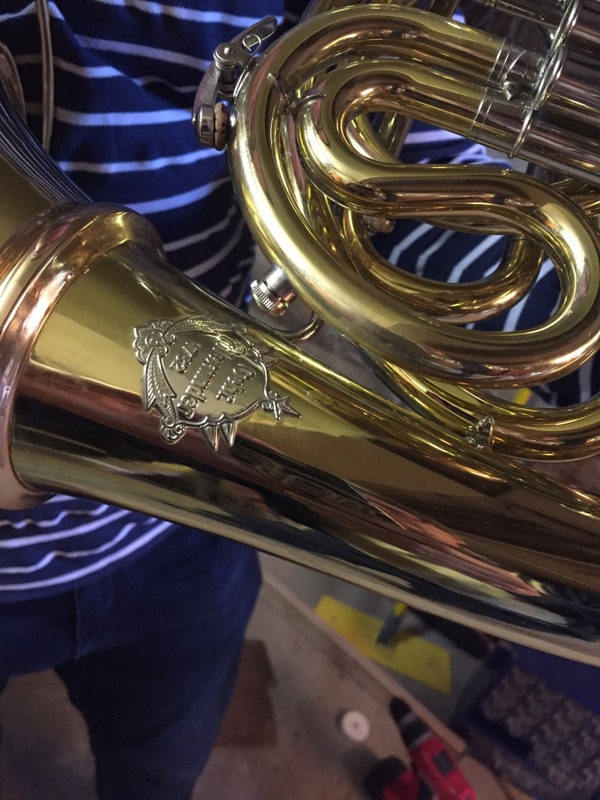 On most trumpets, two JoyKeys will give you hours of water free playing. 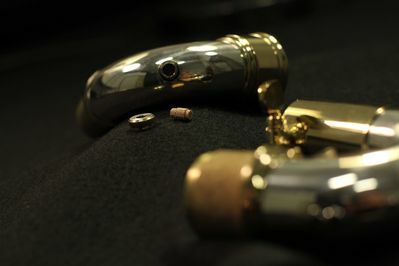 in nickel silver and brass. 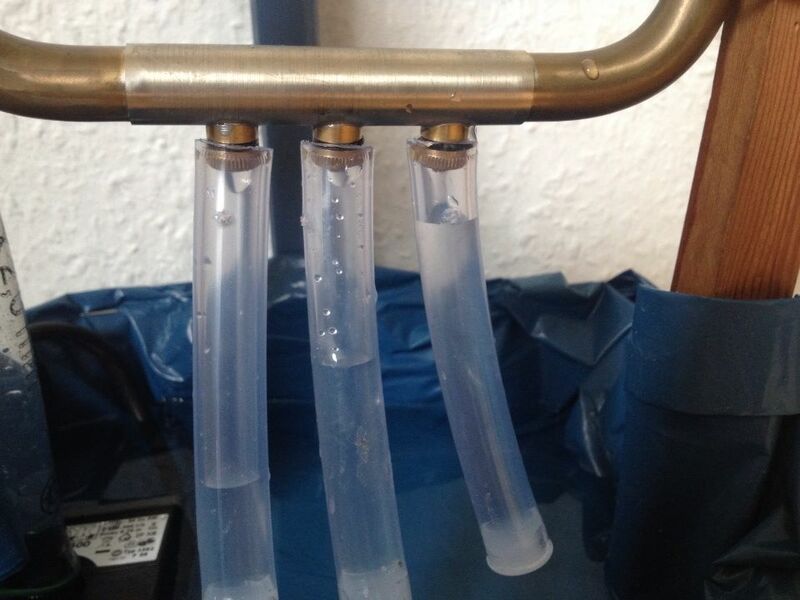 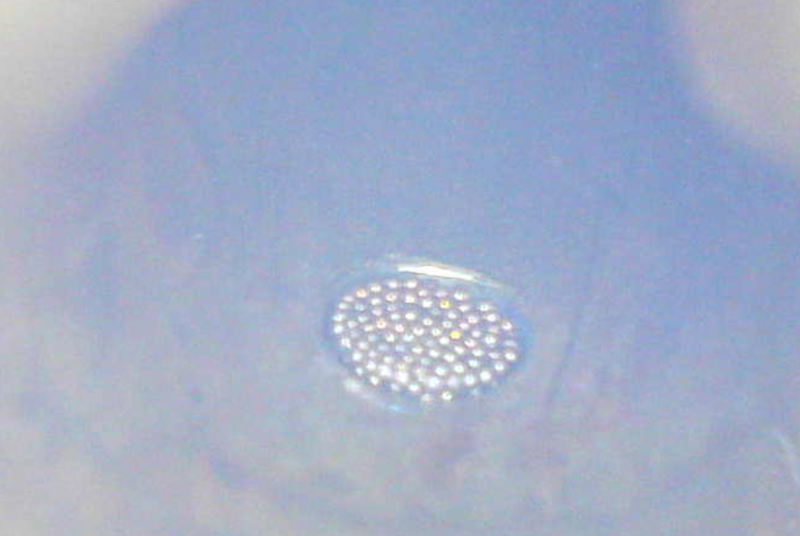 The WaterWick sits flush with the inside wall of the tubing.